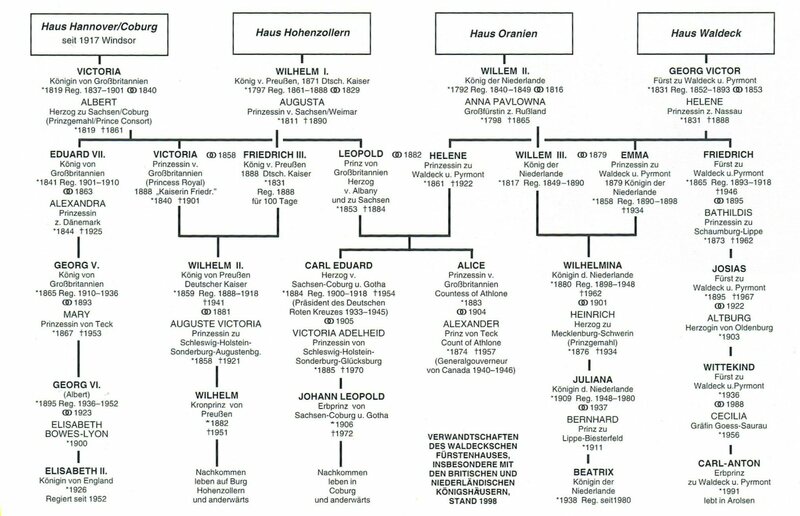 who was the hereditary prince of the royal family of Waldeck-Pyrmont. 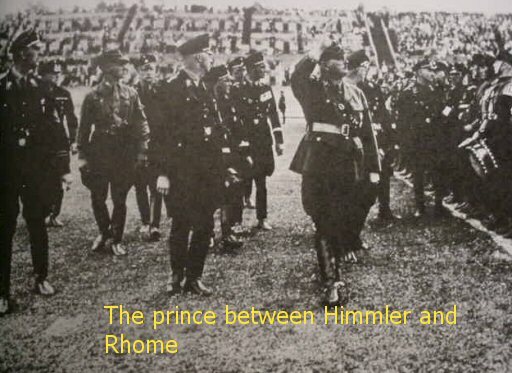 the prince was a very important figure in the era of the Third Reich. The prince proudly wears his SS sword. DESCRIPTION: Here is one of the most incredible finds that we have managed to uncover because of our many contacts in Germany. 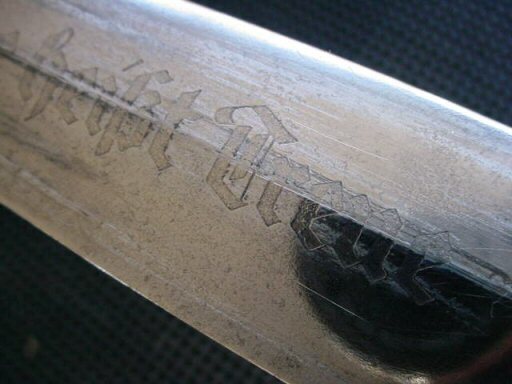 In April 2006, we were informed that the SS sword of the Josias Erbprinz zu Waldeck und Pyrmont, 1896-1967, was now to be sold in the vicinity of Kassel, Germany. As luck would have it we were attending a military show at that time in Kassel so we immediately went to the location and after 4 days of negotiation we managed to buy it, and what a thrill it was. 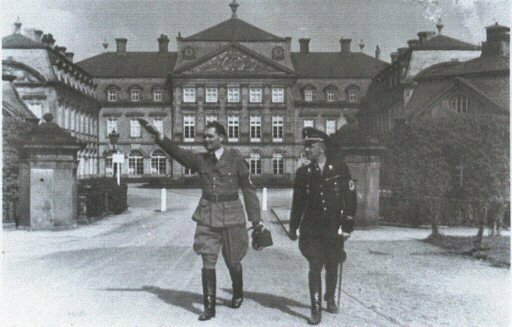 Prince Josias was one of the earliest members of the SS and one of the first of the royal lines to join the ranks of the Shutzstaffel. 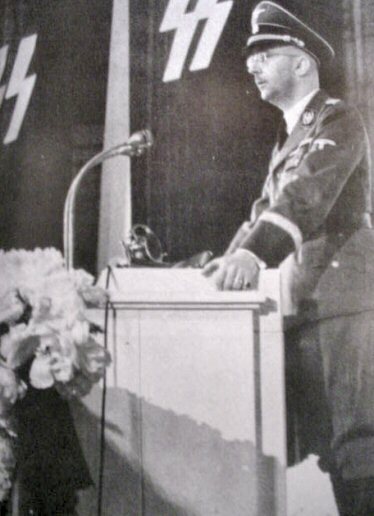 The Erbprinz (hereditary prince) had an extraordinary and varied career and enjoyed an especially close relationships with Himmler, the eldest son of the last ruling prince in Waldeck, the nephew of the King of Württemberg, and the Dutch queen. 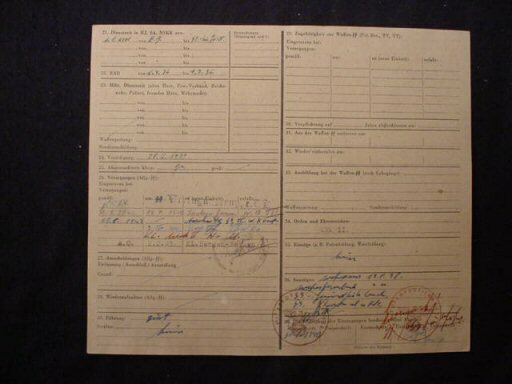 He was badly wounded in WWI (including being a victim of a gas attack) and highly decorated (receiving the Iron Cross First and Second Class). He later volunteered for the Free Corps, where he fought in Upper Silesia in 1919. 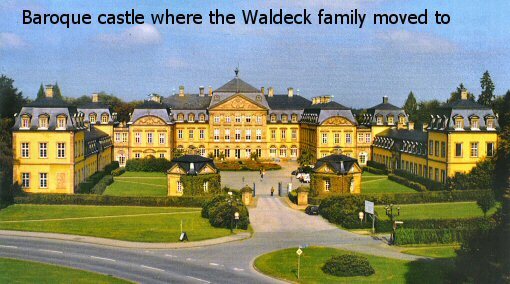 Waldeck joined the Nazi Party in 1929 and the SS in 1930. 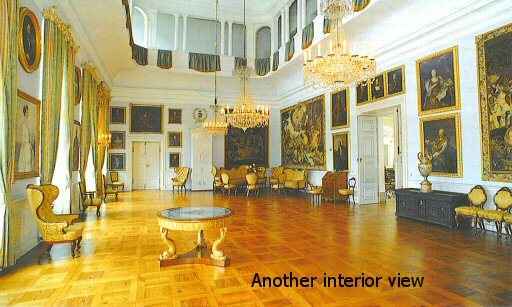 He had married one of the sisters of Grand Duke Nikolaus von Oldenburg, 1897-1948. 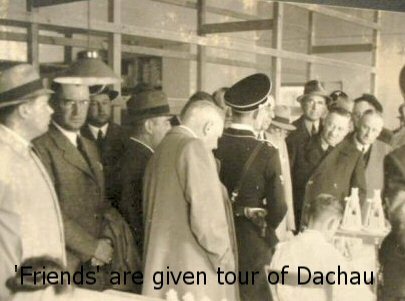 The Grand Duke von Oldenburg’s two sisters married SS major Prince zu Schaumburg-Lippe and SA Colonel von Hedemann, making this a tight-knit circle of aristocratic NSDAP officials. 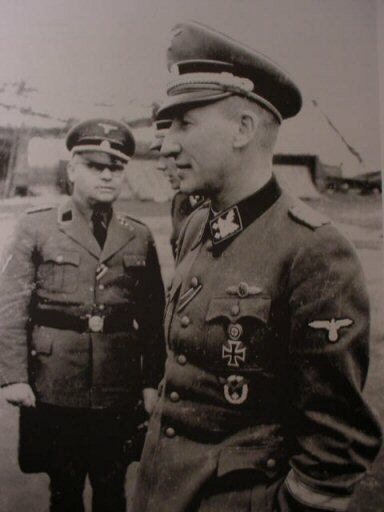 During his first year in the SS Waldeck became the Chief of Himmler’s personal staff. Later, in 1933, he became the aide-de-camp of SS General Sepp Dietrich, 1891-1966, who headed up Hitler’s personal security. 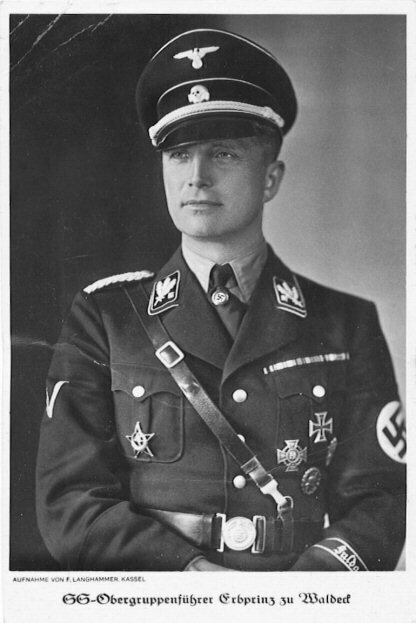 That same year Waldeck was promoted to major general (SS-Gruppenführer); part of his precipitous rise in rank. He also had a brief appointment as a councilor in the foreign office in 1933, and held a seat in the Reichstag throughout the era of the Third Reich. 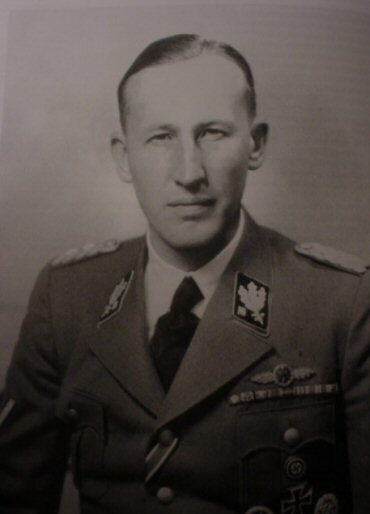 As of 1936, he headed the SS Division of Fulda putting him in close proximity to Prince Philipp of Hessen, who also was an NSDAP royal and was a high-ranking SA leader. 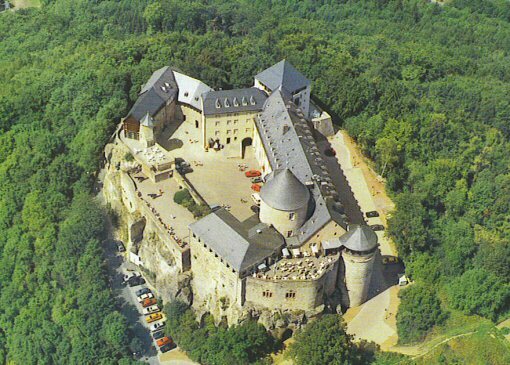 Both Waldeck and Prince Philipp were based in Kassel near the area where the sword was stored and ultimately sold to us. 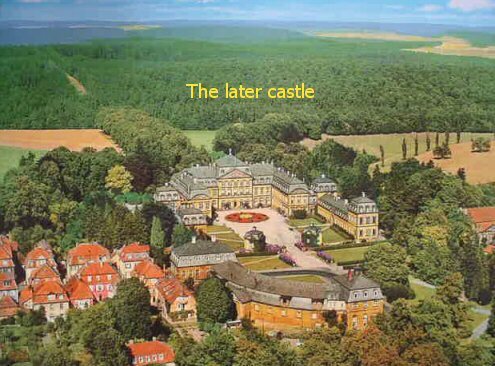 In Kassel, Josias created the Bureau for the Germanization of Eastern Peoples, which promoted the idea of SS-directed settlements in Eastern Europe. 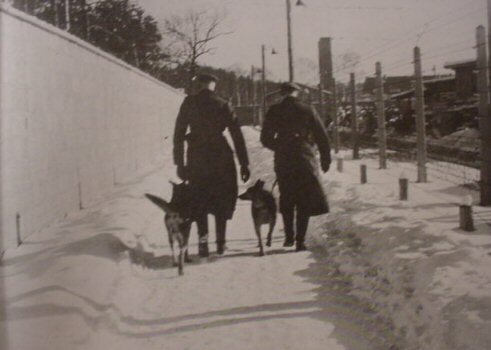 In 1939, Waldeck was appointed the higher SS and police leader in Weimar and in this capacity he had supervisory authority over the concentration camp at Buchenwald. 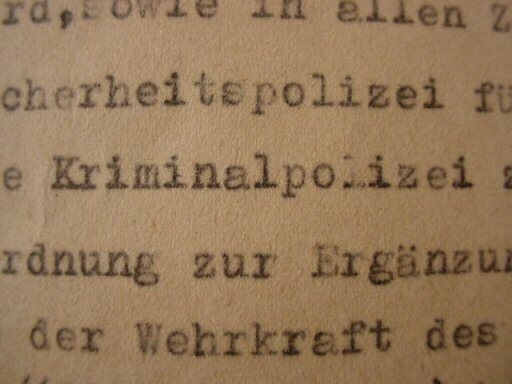 The prince was also a general of the Ordnungs-Polizei (Order Police); appointed by Hitler personally in April 1941. 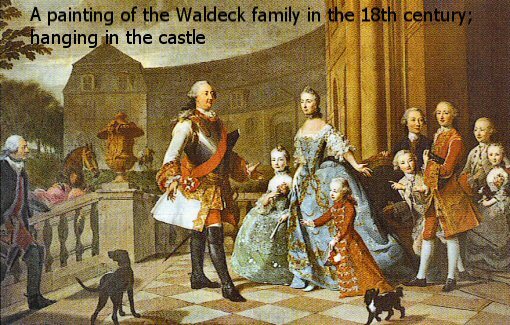 Prince Waldeck was severe, hard driving, and ambitious. 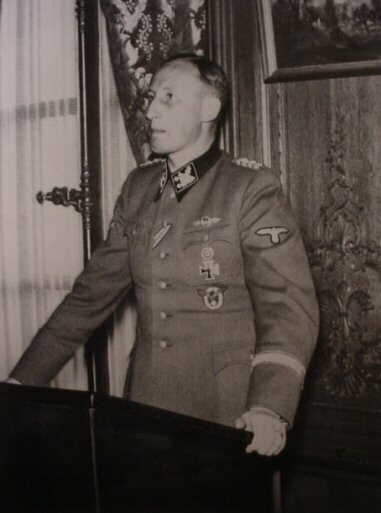 To cite an example, he oversaw an SS execution commando at the Stadelheim Prison near Munich during the Röhm purge in June 1934, when he had to order the executions of several former comrades. 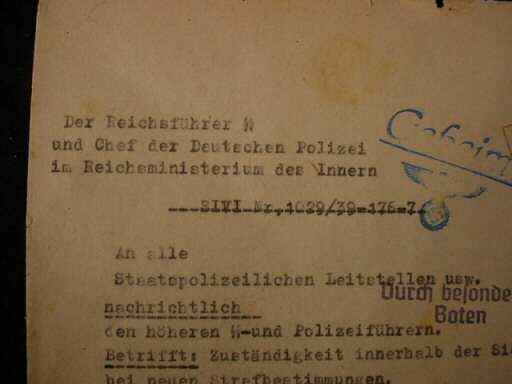 It gave him no pleasure, but it was necessary to the future of the NSDAP, which he would defend with his own life, if necessary: “Wenn alle untreue werden so bleiben wir doch treue!” On 12 March 1938, the day of the German annexation of Austria, he wrote to Heinrich Himmler addressing the letter to the Reichsführer-SS persönlich requesting to be deployed to Austria. He wanted to be where the action was. 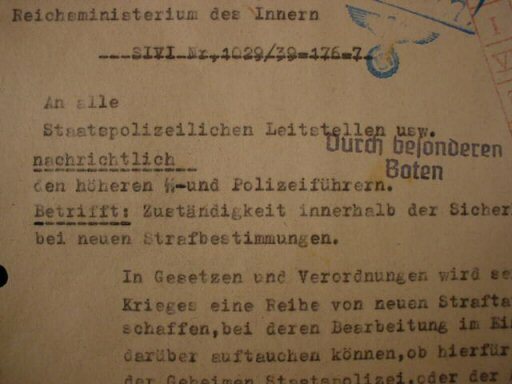 During the so-called Kristallnacht, Waldeck is on historical record as giving to Arolsen headquarters an order to his men to refrain from violence and to arrest those who indulged in gangster activities. 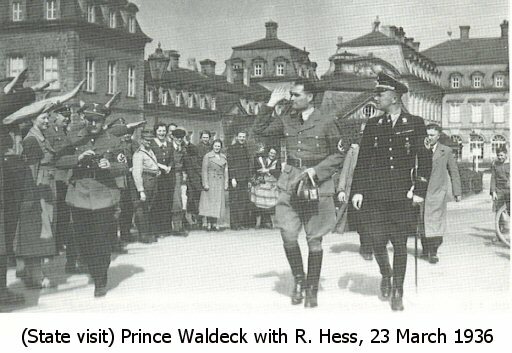 Considering the culture of discipline in the SS, and Prince Waldeck’s overbearing demeanor it is hard to believe his troopers would have acted against his orders. 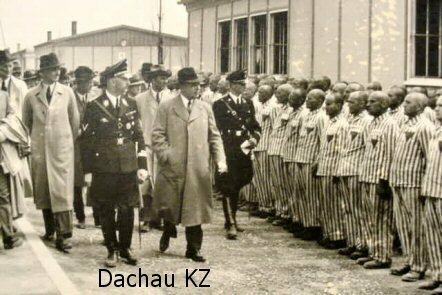 In 1942, Prince zu Waldeck sacked Buchenwald Commandant Karl Otto Koch and his wife because of their cruel treatment of prisoners and their embezzlement of over 700,000 DM in valuables from the camp property rooms. 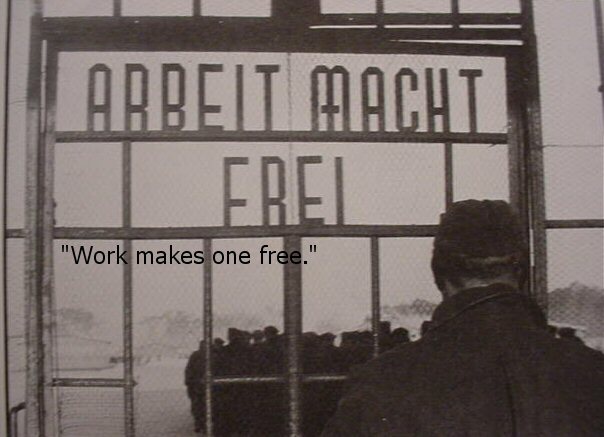 Koch was found guilty of corruption and executed at Buchenwald just days before the allies arrived. The prince considered himself principled and disciplined. 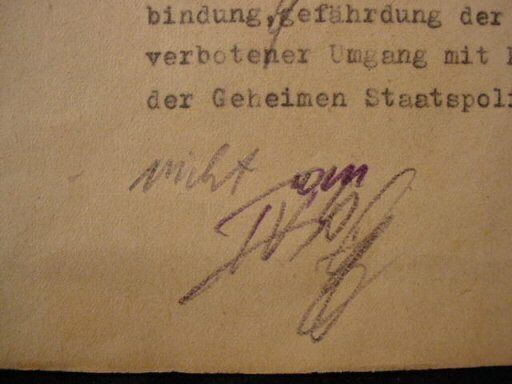 Scholars now generally reject the charge made by Buchenwald inmate and pseudo historian Eugen Kugon that Waldeck himself was brazenly corrupt. He certainly was well thought of by his men; some of whom we have talked to. 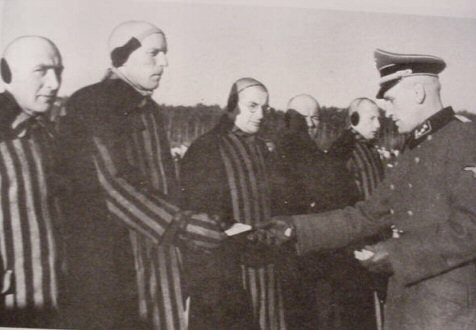 He was always publicized as a kind of role model for the SS. 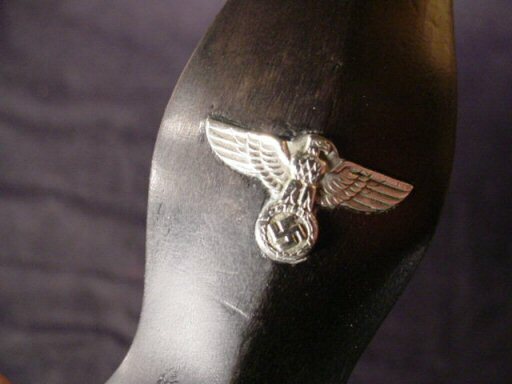 He was made head of the SS office for riding. He held the title Leiter des Deutschen Reitsports and like Prince Christoph, he frequently competed in international competitions in his always-pin-neat SS uniform. 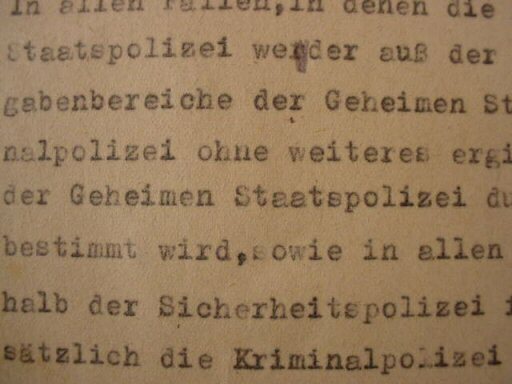 Just after the Austrian Anschluss in the spring of 1938, Waldeck inquired whether he could be included in the police unit that would accompany Hitler to Rome. 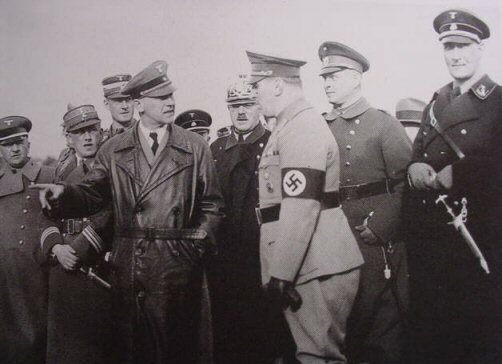 His aide wrote the request to the SS-Reichsführer noting that the proposal would be favorably greeted by SS General Sepp Dietrich and Oberpräsident Prince Philipp von Hessen, and he added that Waldeck would be in Rome from April 24 to May 5, competing in an international riding competition. 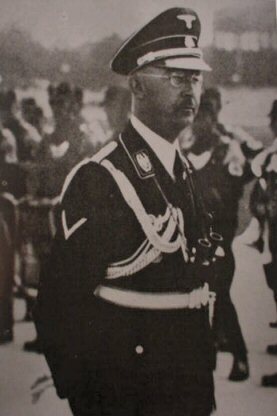 Himmler wrote back that he could not assign Waldeck to the police detail because the Italians were taking charge of security, but it would be no problem to invite the prince to other functions during the Führer’s visit in May. 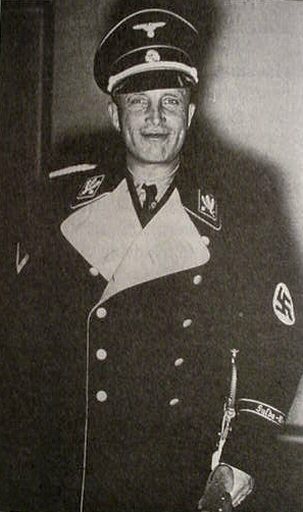 Waldeck was a very visible figure resplendent in his SS uniform with the SS officer’s sword ever at his side. He was photographed constantly by the German and Italian press during the state visit. 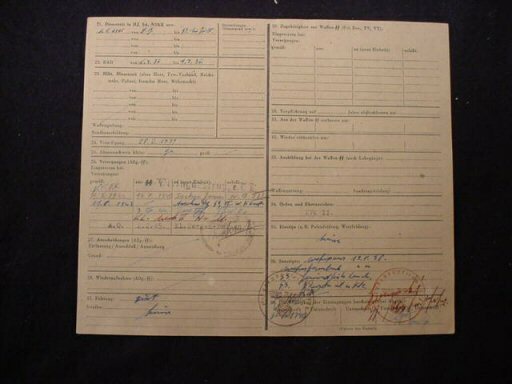 He was considered the epitome of the SS officer. He fit the SS ideal in many other ways, too. 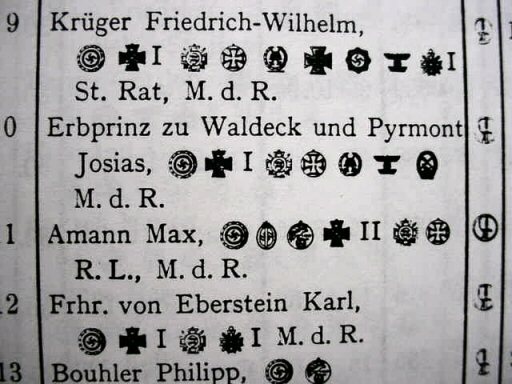 Not surprisingly Waldeck and his wife had five children, which would earn the latter the Mother Cross in gold, the highest award for bearing children for the German Reich. 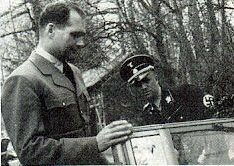 Prince Waldeck, as we have earlier stated, was one of Himmler’s favorites and the Reichsführer made special efforts to take care of him. 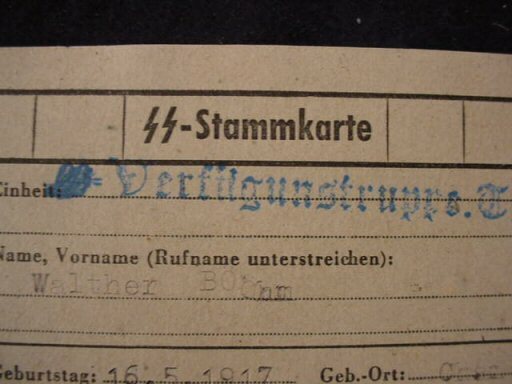 They used the familiar form of address (one of Himmler’s few Duzfreunden) and the Reichsführer-SS sent numerous gifts not only to Waldeck, but to his family. 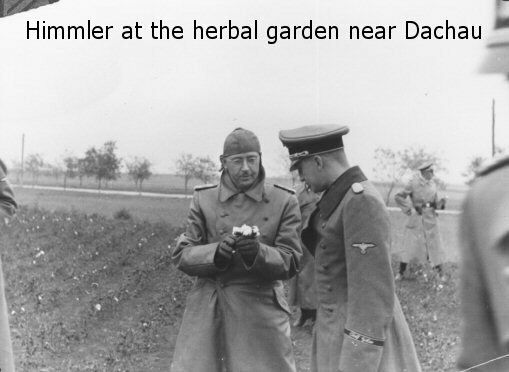 Himmler was godfather to the prince’s only son to whom he sent a regular stream of presents and notes. 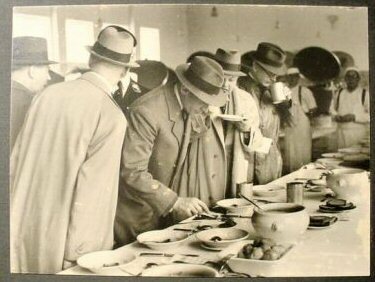 The prince thought a great deal of his chief and often sent handmade gifts turned out by artisans in the Weimar regions. We featured one of these on our pages. See the incredible Presentation Cigar Box to Heinrich Himmler at Item HH 1-6. 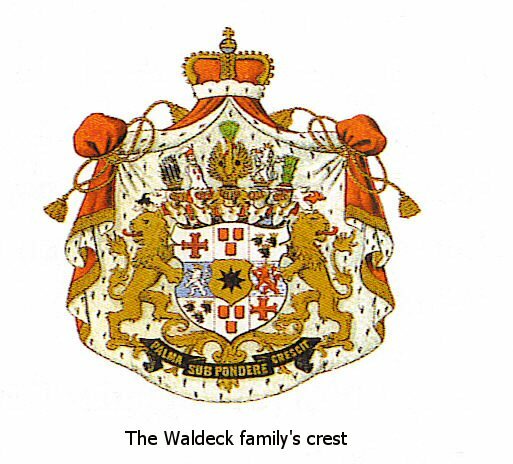 You can see more information about Prince Waldeck there, as well. 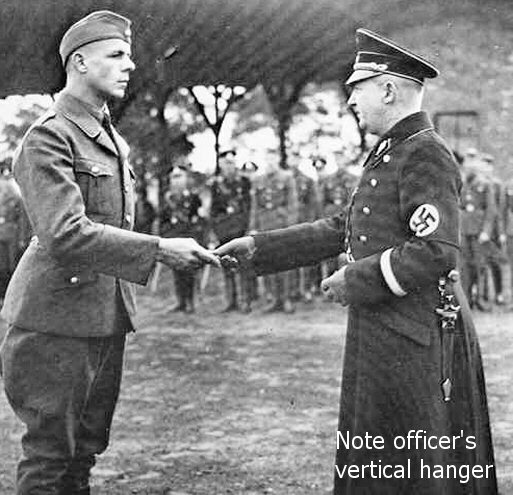 In March 1943, Himmler ordered that the prince be awarded the Military Service Cross with swords. 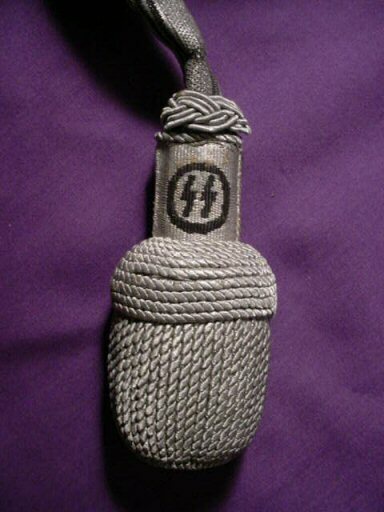 This is the highest award granted to higher SS and police leaders. 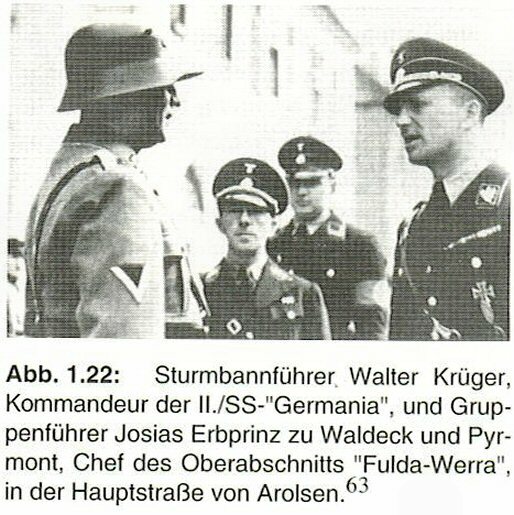 Himmler’s aide wrote back that Waldeck had already received the award the previous year for service as part of civil defense. 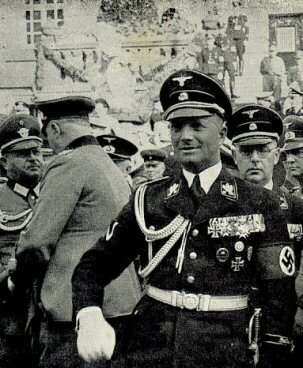 Waldeck, in turn, venerated Himmler had made every effort to honor him. 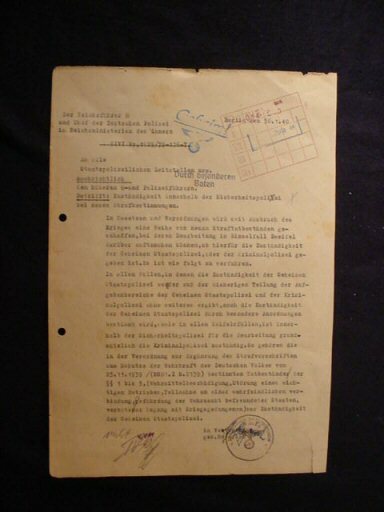 This included giving Himmler a new train car (Salonwagen) at the meeting of SS leaders in Posen in the autumn of 1943. Waldeck’s experiences during the war took a toll on him. 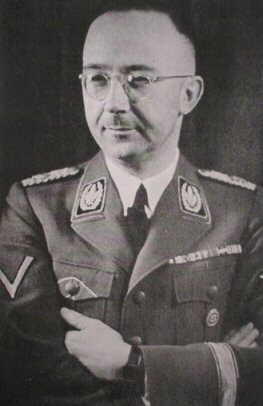 In January 1944, SS General Udo von Woyrsch, 1895-1982, wrote Himmler and explained how the prince was suffering from serious eye problems and that he constantly smokes cigarettes and evidently appears shaken. 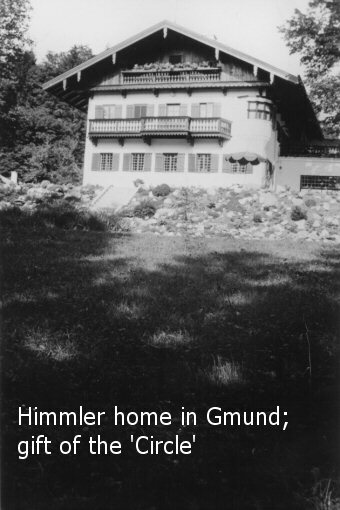 Woyrsch asked Himmler to intervene—to prohibit Waldeck from smoking and to take better care of himself. Yet, Waldeck survived the German (European) defeat. 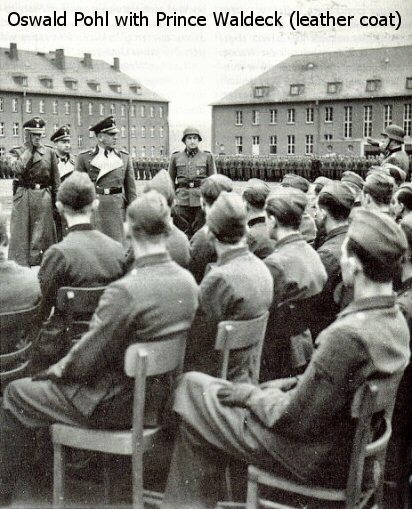 He surrendered to Patton’s forces at Buchenwald on April 13, 1945, the day the camp was occupied by allied armies and he faced two trials in the postwar period. See our write-up at Item HH 1-6 for more information on this. He was sentenced to life in prison, but on November 29, 1950 Waldeck was released from prison. He was one of the first to benefit from American High Commissioner John J. McCloy’s amnesty program and in July 1953, he received an amnesty from the Hessian Minister-President. The passion of revenge and ethnic cleansing seemed over for that time. Prince zu Waldeck lived out his life in the Federal Republic until his death in November 1967. 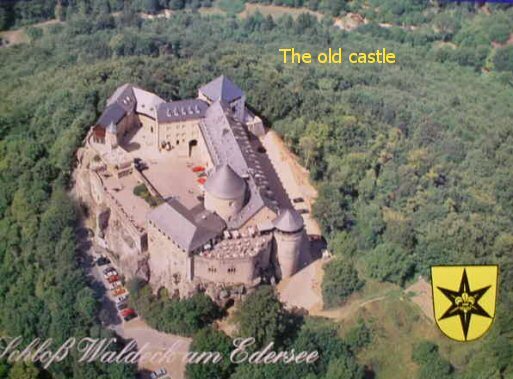 He passed away to Walhalla at the age of 72 at Schloss Schaunberg near Diez an der Lahn. The family has kept its archives closed to scholars since the prince was released in 1950 for reasons of poor health (the reason given). When he returned to his home he turned a great portion of the ancestral estate over to the Red Cross for its tracing of missing persons. 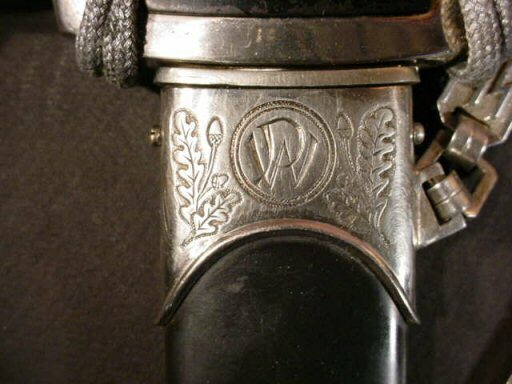 Prince Waldeck’s SS identification number was 2139 and this number appears stamped or engraved on the lip of the scabbard of his sword. 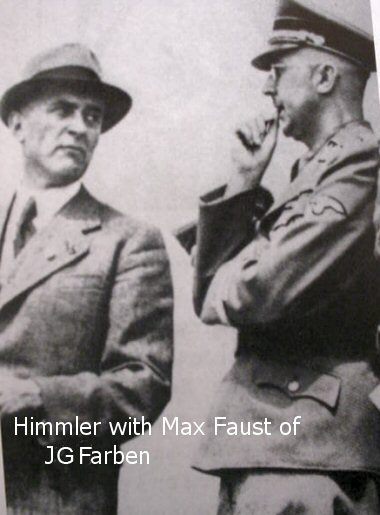 His NSDAP number was 160 025. He had the Golden Party pin, the Iron Cross First and Second Class, the War Service Cross, the Spange for winning the Iron Cross again in WWII, the Deutsches Kreutz, and the silver Wound Badge. 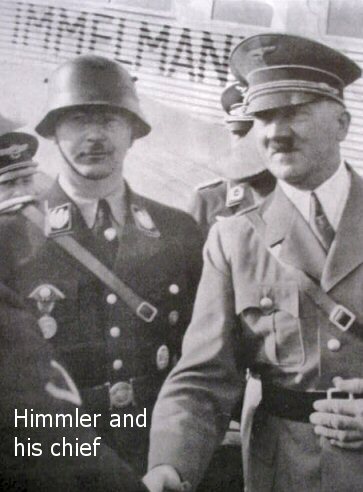 He was an able leader and a brave soldier and really did not deserve the nasty fate that attended him at the Nuremberg (Star Chamber Proceeding) in the late 1940s. It is generally thought that it was his royal heritage that condemned him when the lesser men of the tribunal would exact revenge and tribal malice vis-à-vis French Reign of Terror tactics against men of higher station and especially the aristocracy. 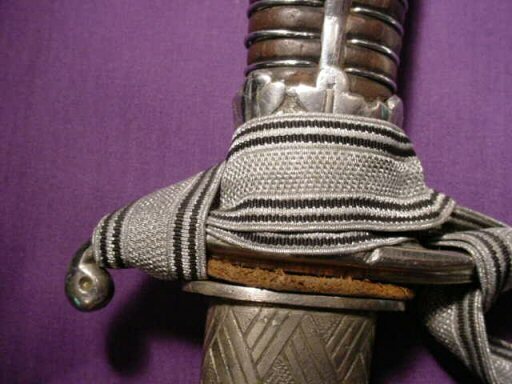 The sword of the prince certainly shows much use and the grip could be called ‘rather tired’ and a bit deteriorated. 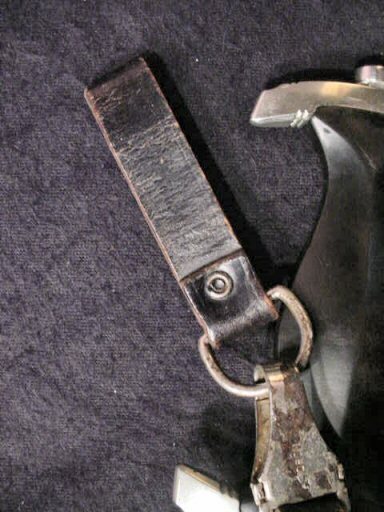 The ebony grip is all there, but slightly distressed. It’s obvious importance, however, transcends this; however, please don’t think it’s terrible. In any case, Tom Wittman, in his great book on swords and daggers of the SS shows a grip on page 353 that is similar in condition to this one. 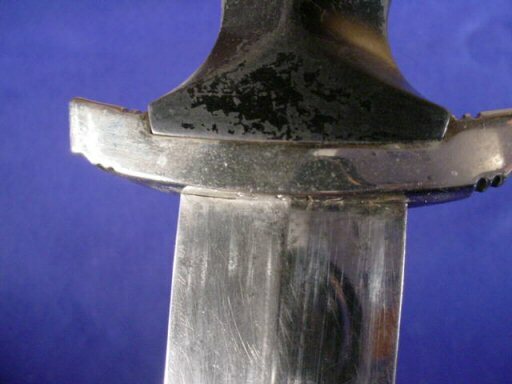 He says grips frequently reflect chips, usually caused by a resting sword inevitably falling on something or when worn striking against a hard surface. 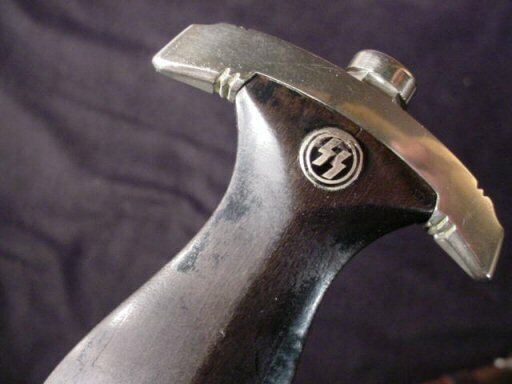 Since the ebony is very hard it is also brittle and we might add that it was common for the SS wearer to apply various oils and cleaners to the wooden surface to try to soften the wood thereby making it less susceptible to breakage. 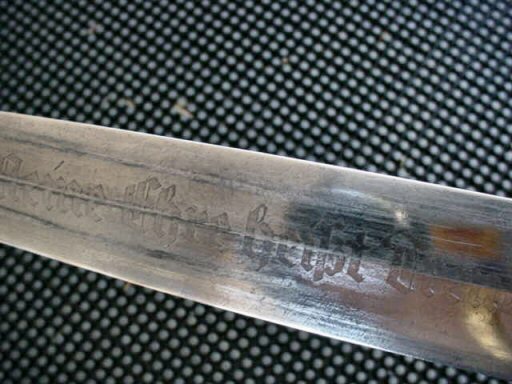 We have often seen other swords and daggers with this shrinkage and mottled effect caused by the various attempts at preservation in days past. 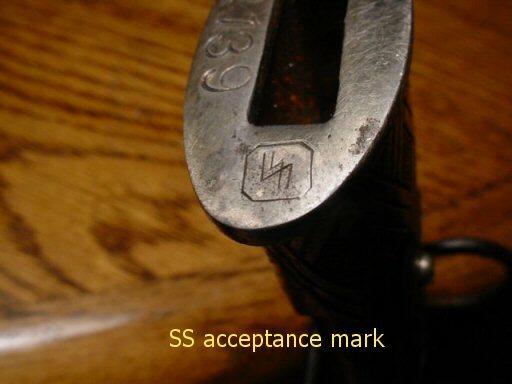 To the perfectionist this could be a negative, but to the collector of important genuine historical artifacts, this would be acceptable of course, and even to some, desirable in that it shows genuine usage. 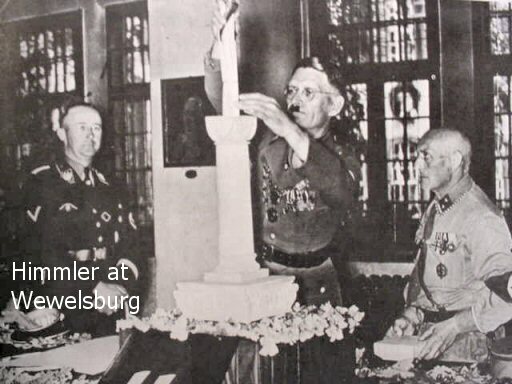 Then, of course, there is the pertinent fact that it belonged to one of the most prestigious figures of Third Reich and WWII history. 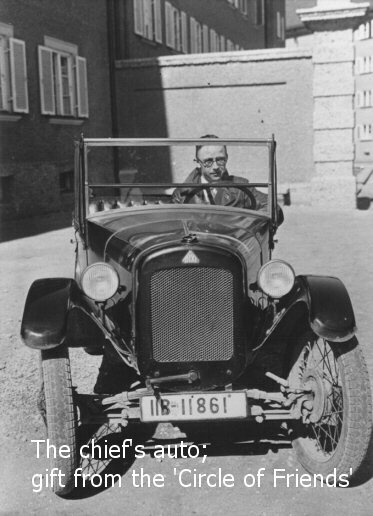 The prince was no auxiliary or honorary SS man as many German royals were. Many of these men, if they were authorized to wear the sword, wore it only occasionally for parade or review. 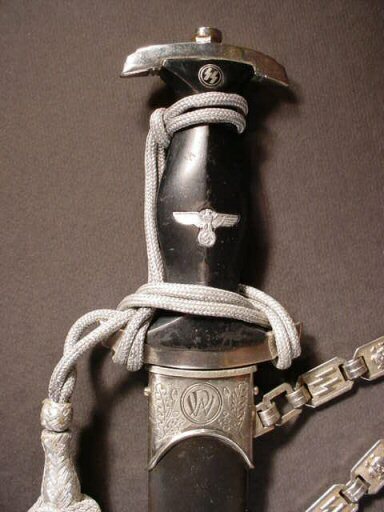 Prince Waldeck wore it every day ether the sword or the SS dagger. 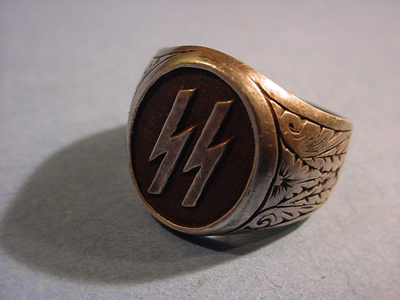 He was fulltime and like most regular SS officers of rank he invariably held it by the grip and we have seen the wear on SS honor rings that are practically stripped bare of insignia because of long and excessive wear. 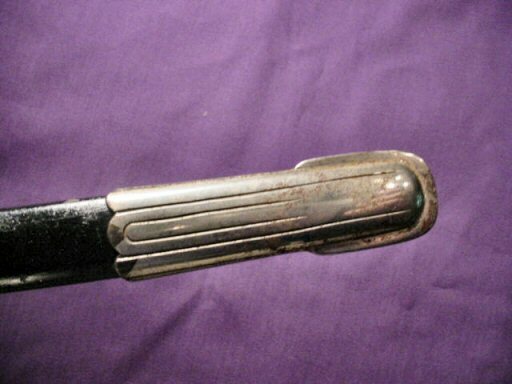 It seems obvious to us that this royal personage grasped the ebony grip to the fullest extent. In our considered opinion this is surely a positive factor. Think about it. This sword was his constant companion and possibly the most-favored inanimate object that ever found his favor. 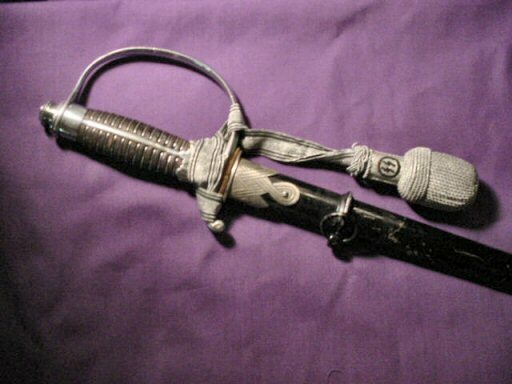 The length of this (Degen) is 36 inches when in its scabbard. 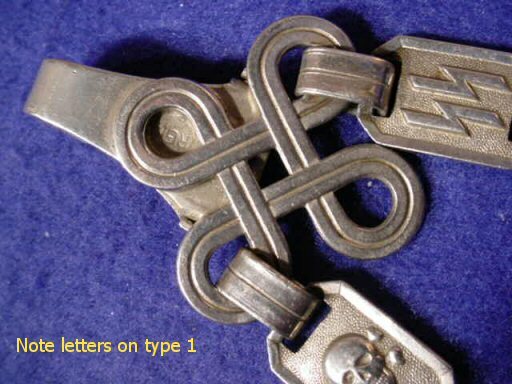 It still has the original sword knot or portepee. 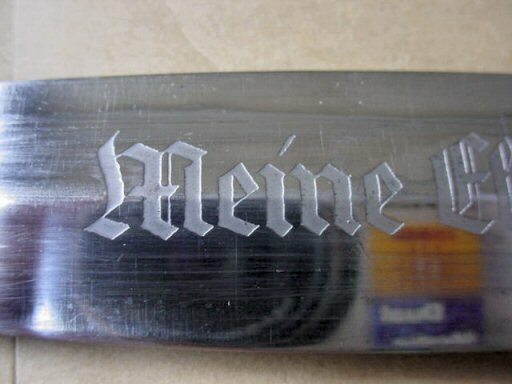 The blade is unmarked because it is one of the early ones that would not be marked back in the period when the Reich’s Führer did not want to show any company preference. 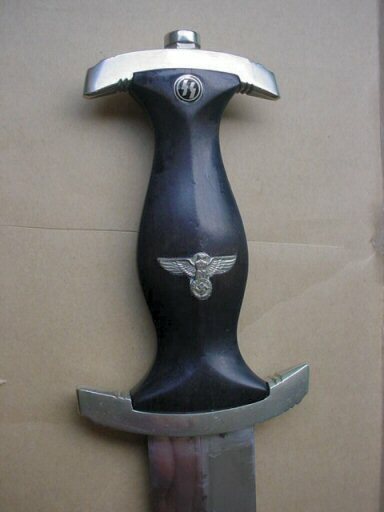 This is the reason that the 1936 chained officer’s dagger model bears no company make or logo. 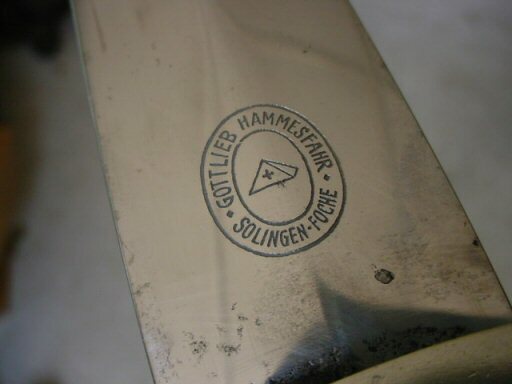 There is also no Kulturzeichen or twisted ‘S’ runes and Mr. Tom Wittman notes that this is common with many of these swords. See page 358 on his SS sword-and-daggers book. 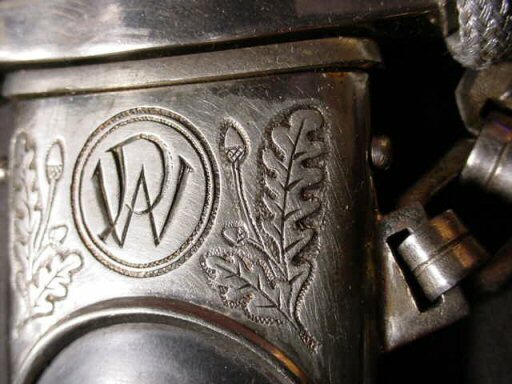 The pommel nut bears the engraved initials ‘WP’ for Waldeck-Pyrmont. 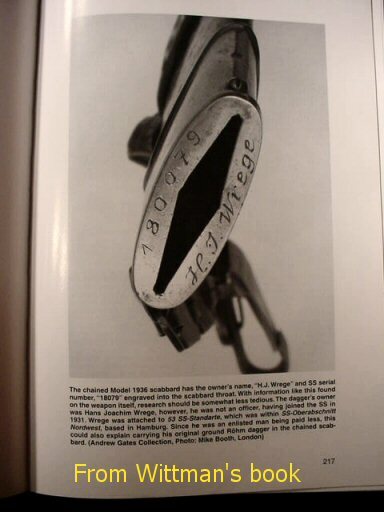 Wittman shows a similar engraving on page 363 and another on page 369 in his book. 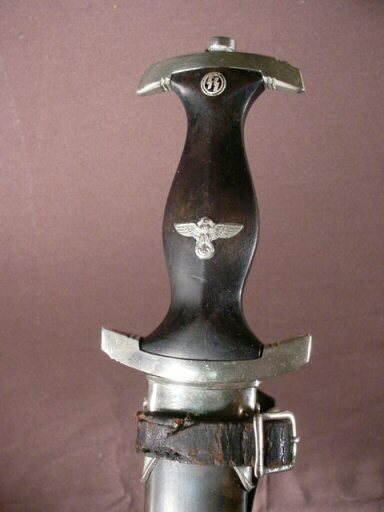 So, in essence and in fact, here offered by Germania is one of the most important SS officer’s swords ever featured on a military site. 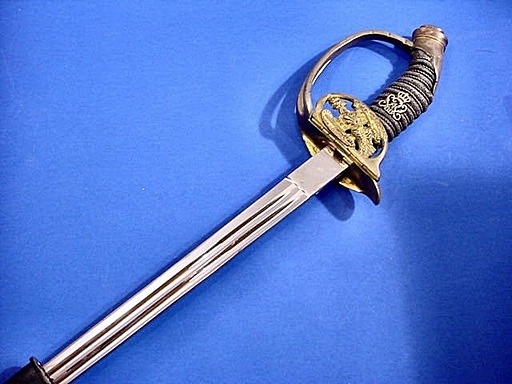 No, it is not a Damascus gold-lettered honor sword, but is surely is a relic of vast importance having belonged to one of the highest-ranking SS men, but also a prince of royal lineage. 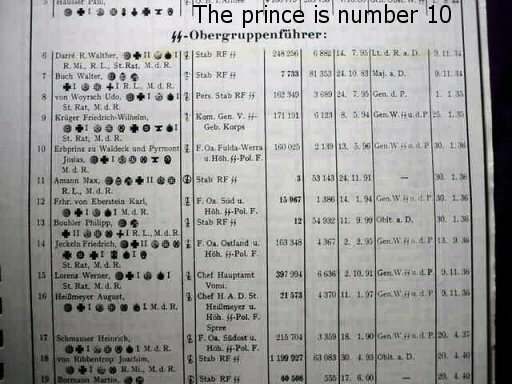 The prince is listed on the first page of the Dienstalterliste der Shutzstaffel der NSDAP as an SS-Obergruppenführer among many other illustrious well-known names. We proudly present this fabulous historically important relic. Credit for much of this information goes to Mr. Jonathan Petropoulos for his kind permission to use excerpts from his excellent book Royals and the Reich. 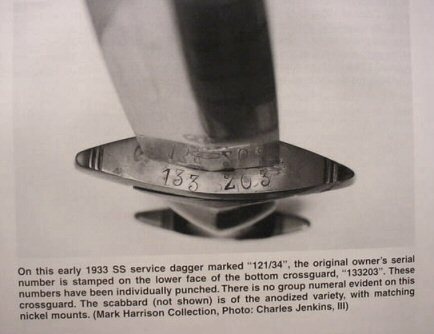 DESCRIPTION: This is one of the most incredible SS daggers ever found. 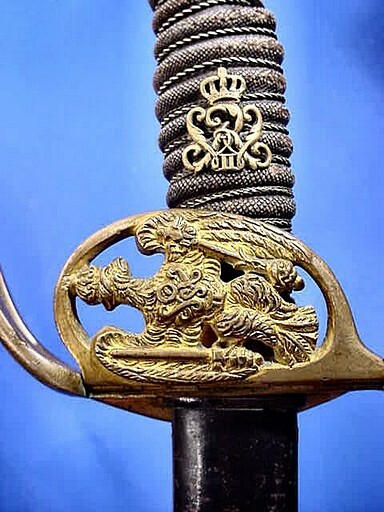 It’s the personal dagger having belonged to the hereditary prince of the famed Waldeck und Pyrmont family. 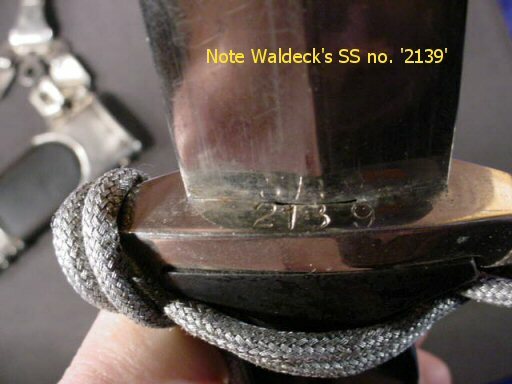 To see how we obtained this fantastic dagger please read the information above in Item SS 25-1, about the Waldeck sword. 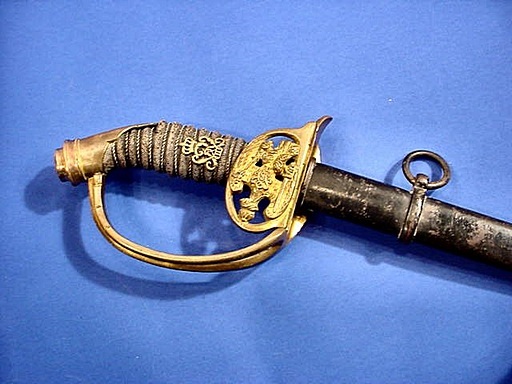 After acquiring the sword we returned to the town of Bad Arolsen, where we were able to purchase this amazing weapon. If the purchase of the sword were not enough to thrill us to the outer limits, the chance to buy the dagger was to us a dream come true! What a dagger! 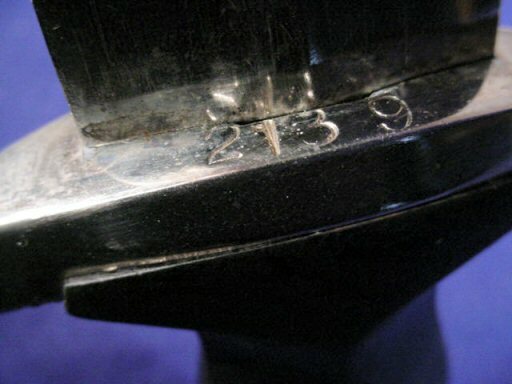 Not just a model 36, which, by the way, are become so very scarce, but the prince’s dagger. 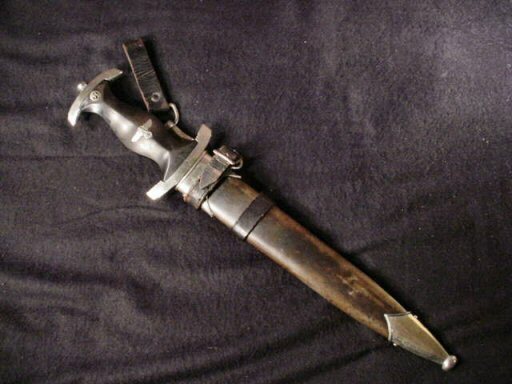 If the owner of this dagger were virtually unknown the piece would still command very appreciable manifest attention to the collector of SS material or a general dagger collector. This piece will probably be the finest and most important one that they will ever encounter. 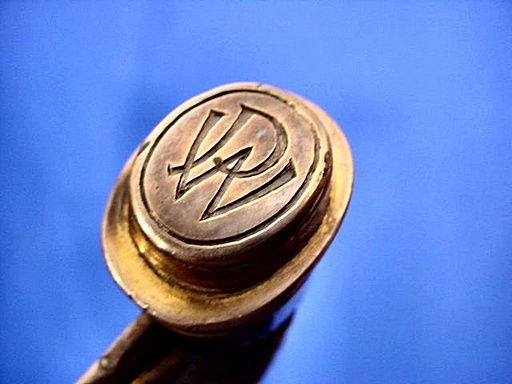 The design that is peculiar to only the Waldeck Pyrmont prince is not only extremely emblematic and beautiful, but is so essentially indicative of the exciting era of German history. 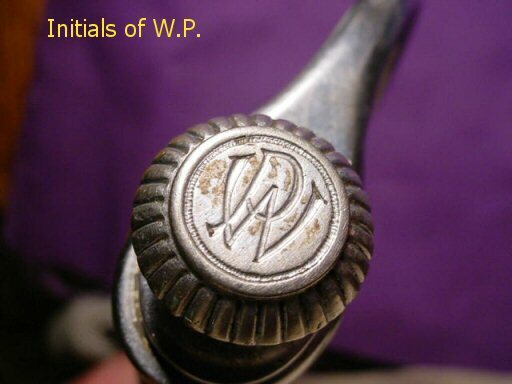 The ‘WP’ in the circle, of course, stands for ‘Waldeck Pyrmont,’ the royal family of Waldeck und Pyrmont of which he was the hereditary prince. This emblem is surrounded by oak leaves and acorns. The oak to the Germanic peoples was and is a symbol of strength and endurance and is the national tree of Germany. In classical mythology the oak was the symbol of Zeus and Wotan and was always the “sacred” tree. 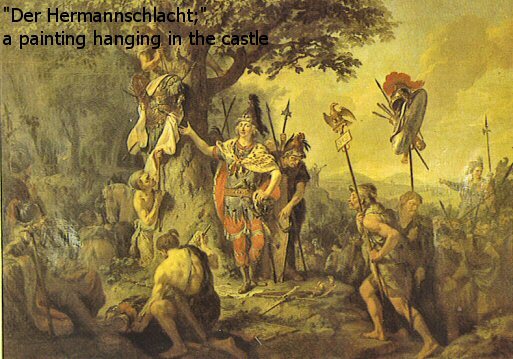 It is typical in Teutonic culture to use oak leaves to denote honor to a person, place, or award. 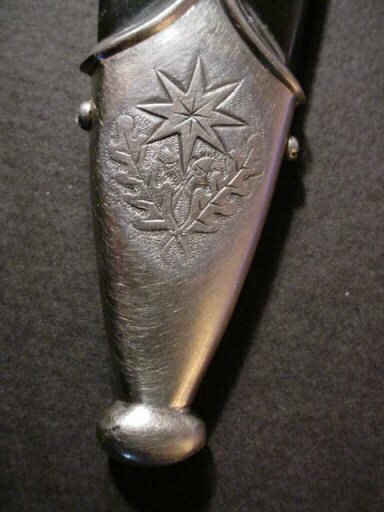 The boot, or tip, of the scabbard is also decorated with the oak clusters and in the center of this is the star of Bad Arolsen. 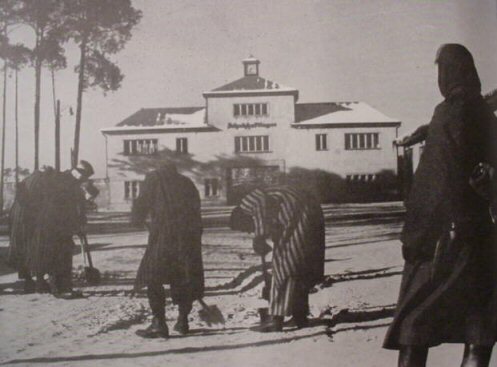 This was the city where the later Waldeck und Pyrmont is located and it was here that the prince and SS Gruppenführer administered the Fulda Wera SS Divisional headquarters. 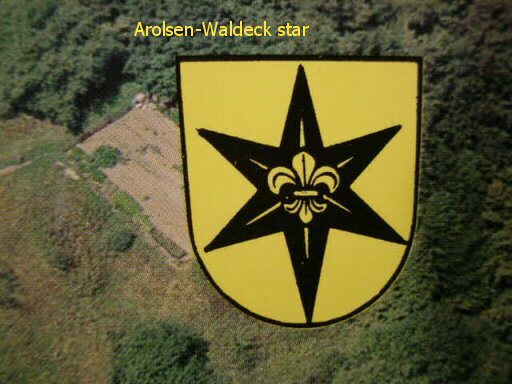 This star is shown sometimes as the Arolsen symbol with six arms, and when directly linked with the Waldeck family it is depicted with eight arms or rays; usually with the six, a fleur-de-lis is shown, especially on items having to do with the original gothic castle in a town of Waldeck in Edersee. 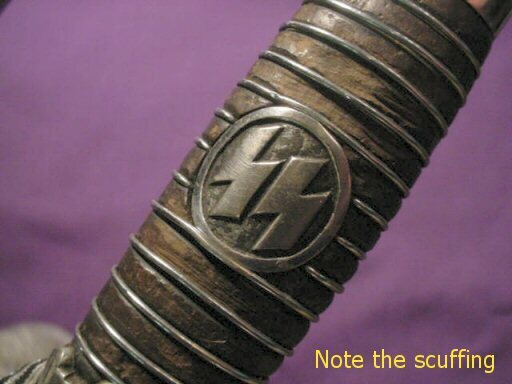 The dagger, like the sword, has the Gruppenführer’s SS membership number. 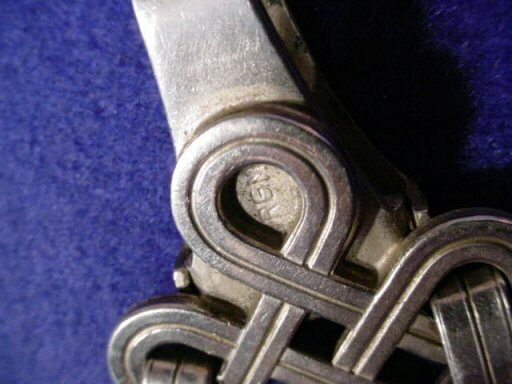 This one stamped under the cross guard is number ‘2139.’ The dagger is the typical first pattern where the ‘DRGM’ shows through the Wotan knot suspension section of the chain hanger. 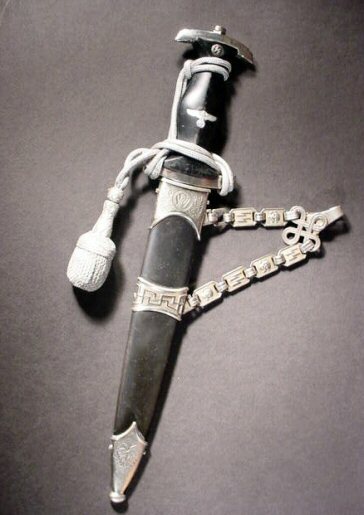 The scabbard is in beautiful condition as is the chain, but the blade is quite worn indicating to us that he received the specially engraved scabbard later and nostalgically wanted to retain his original-issue dagger and probably kept the dagger that was given with the scabbard in his home or offices in Arolsen or Kassel. 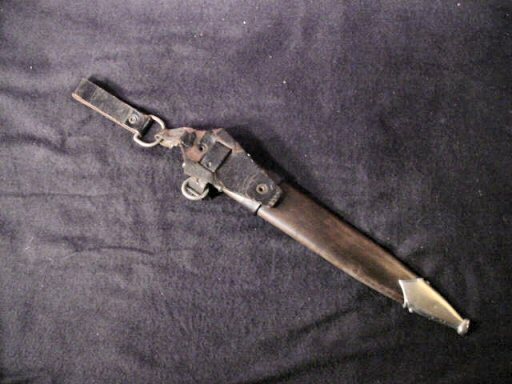 The sword saw heavy use in everyday wear also. The prince was a work-a-day official; a real workaholic as we are given to understand. 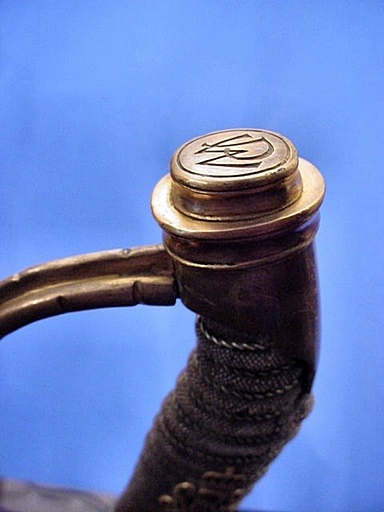 The other reason for the heavy wear on these items might lie in the fact that the family who maintained these objects had teenaged children who loved to play pirate and soldier during their growing-up years in Arolsen, and the items unfortunately suffered a little bit over the years of probably rough usage. In any case, at least they were preserved and are to be added to the collection of some fortunate collector or museum. 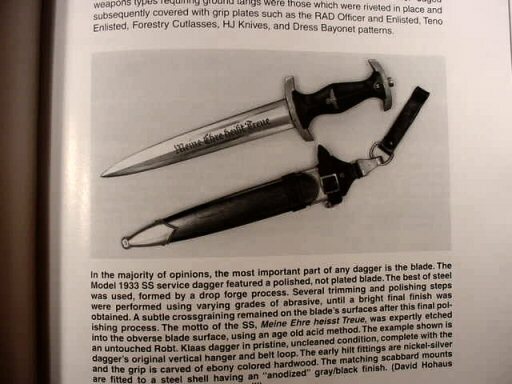 We can’t imagine a more exciting dagger or sword for that matter. 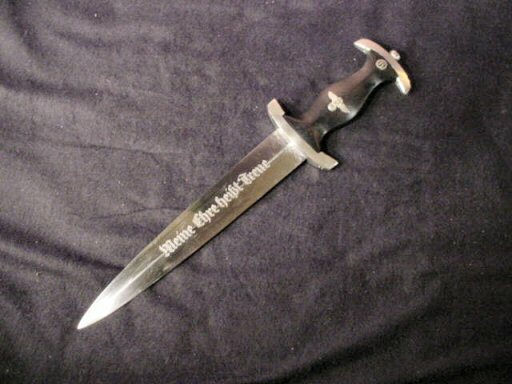 “Heil to the SS prince!” His dagger and sword are silent testimony to a life that was possible provocative, but certainly most enthralling and dramatic to the extreme. 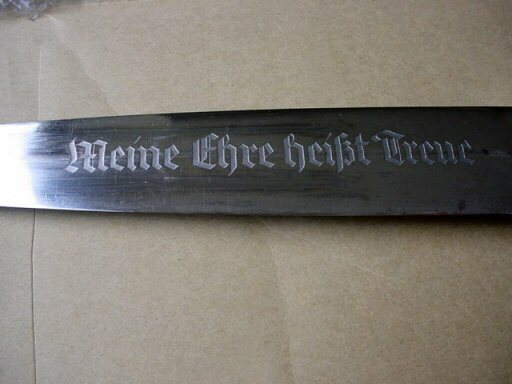 DESCRIPTION: Here is the WWI sword of the hereditary prince of Waldeck. This is the prince whose other items can be seen in the previous section of this page. 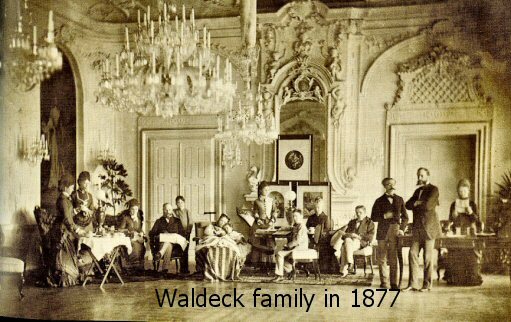 He was the eldest son of Frederick, the last reigning prince of the principality of Waldeck Pyrmont. At the very beginning of WWI in 1914 he volunteered to arms with intention to be a professional soldier. During the 4 years of this terrible war he suffered several wounds including a very serious head injury that plagued him for the rest of his life. 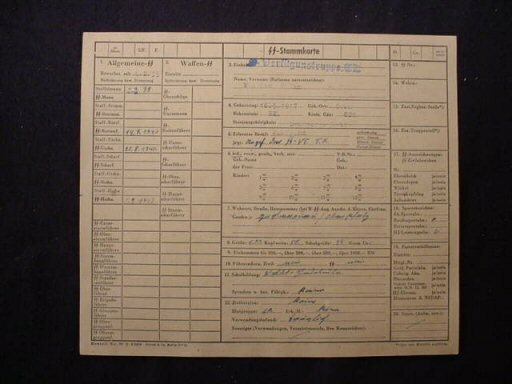 He served as an Oberleutnant in the infantry regiment von Willich 13 Kurhessisches Nr. 3. 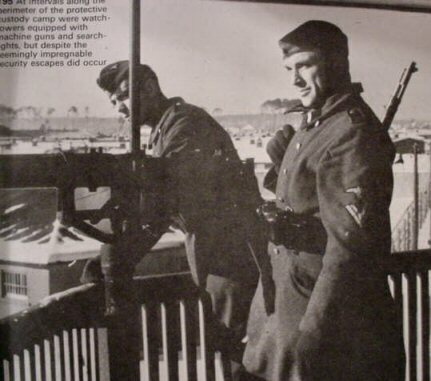 He served bravely and diligently and won the Iron Cross, both classes. 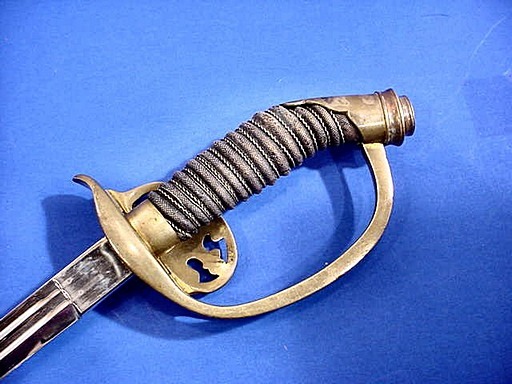 The sword is a Prussian infantry model actually used by the other military units from the other German states, as well. It has the folding guard with the Royal Prussian eagle and the d-guard is as usual on these Model 1889 infantry officer degens (Preussische Infanterie Offizierdegen). The ray-skin grip is in good condition. 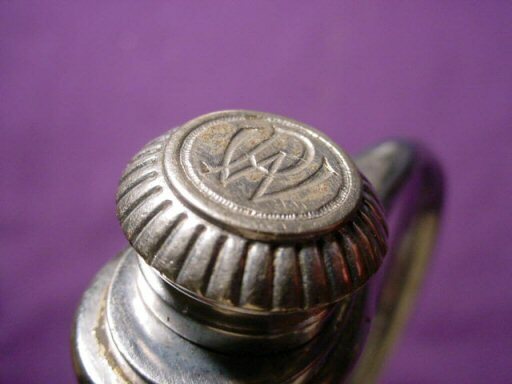 The top or pommel has the ‘WP’ intertwined standing for ‘Waldeck Pyrmont’ just as it is engraved on his SS officer’s degen seen in one of the write-ups above. 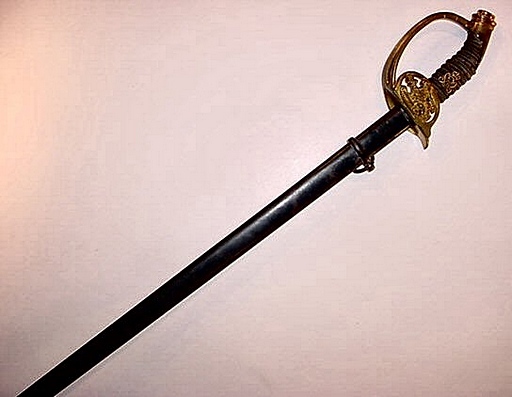 The length of the sword is 37 inches. The blade measures 30 1/2 inches and the blade is still bright with double-running fullers that run along 90 percent of the blade. There is no company name or logo. 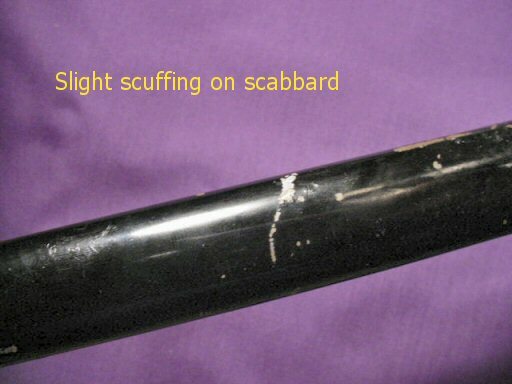 The scabbard is in good condition with no kinks or dents. It shows some wear on the black original print, but this does not detract at all. 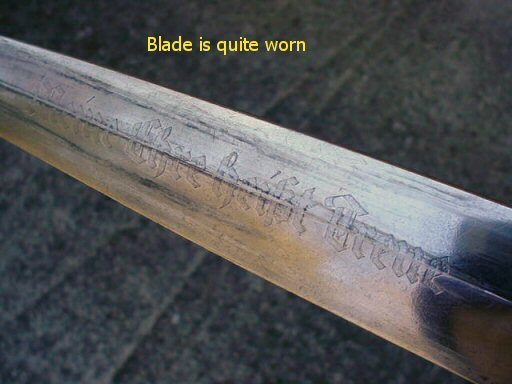 Generally, the sword is in excellent condition and is another fine relic and remembrance of a royal personage who dedicated his later live to an ideal to which he gave his all and there are some who respect his memory! DESCRIPTION: This is certainly the scarcest ring that has ever surfaced and probably the most prestigious. The organization that these rings represented was the very group that made it possible for the SS to become as huge and prominent as it did. The major industrial groupings in Germany paid close attention to the political events and stirrings in Germany with an eye to which group would be best suited to stabilize the nation in the aftermath of the World War and the attempt at revolution by the reds. 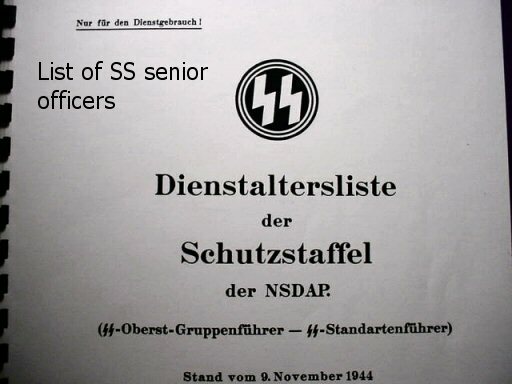 The NSDAP and especially the SS organization looked like they were the only action groups that could and would achieve the objectives that these giants of industry desired. 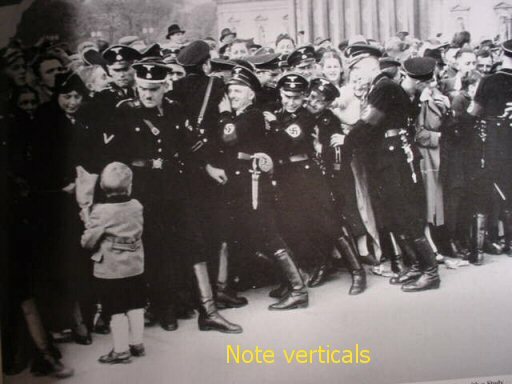 The Nazis with ‘socialist’ in its title was construed as actual antisocialist in at least opposing the leftist socialists and thus was the vehicle chosen to realize the aims of big business. 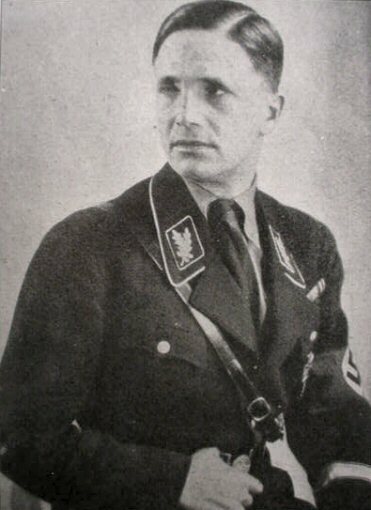 The liaison man for the heavy industry and junker landowners was Wilhelm Keppler. He was the official representative for the industrialists and bankers. 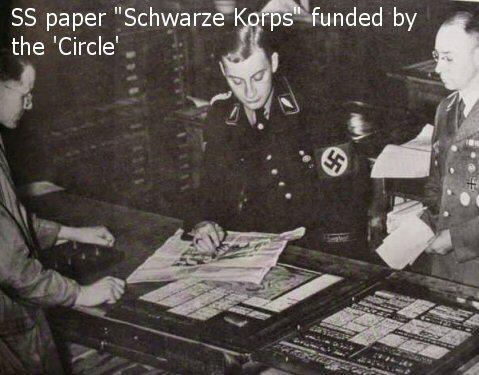 Himmler introduced Keppler to Adolf Hitler and the “circle” of business advisors whom Keppler founded for the Führer in May 1932 later became the Freundeskreis RFSS--Circle of Friends of the Reichsführer-SS, and they contributed huge sums annually to the SS. 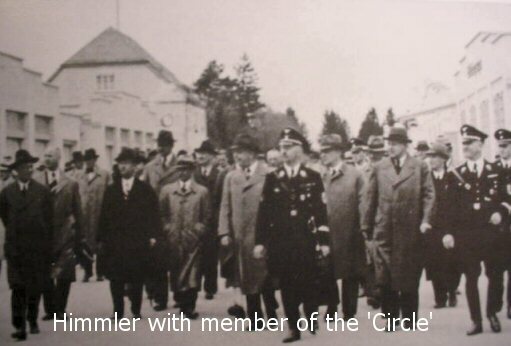 Members of the circle were officials of IG Farben, Deutsche Bank, Siemens, BMW, Daimler Benz, and the world’s largest building combine, Philip Holzmann. 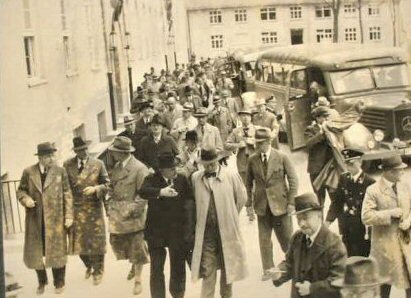 It is said that the Freundeskreis, along with the old army, were the hidden wire-pullers behind the Night of the Long Knives (the assassination of Ernst Rohme and his conspirators). Just after Rohme’s dramatic elimination by the SS, much larger sums of support money was forthcoming. 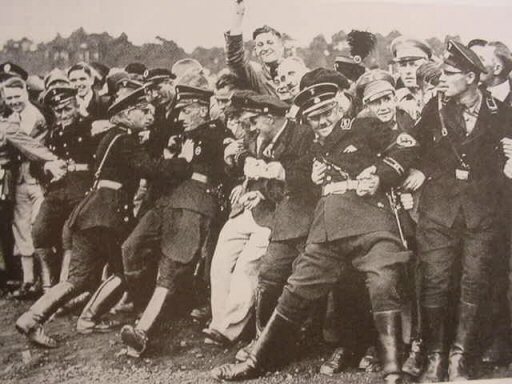 At the end of the Reichsparteitag (party rally) in the autumn of 1934, just after the bloody resolution of the Rohme crisis, the members of the RFSS were invited to Nuremberg and put up at the Grand Hotel as guests of the Reichsführer. 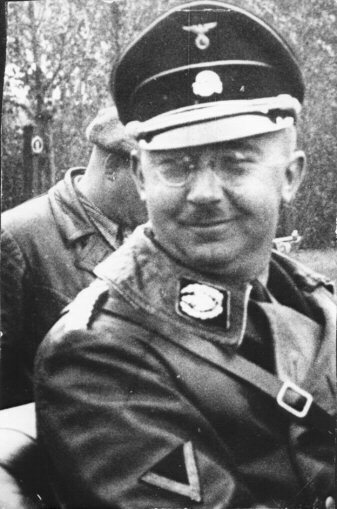 Himmler’s adjutant, Karl Wolf, played host as he did in succeeding years. Among those many bankers and industrialists present was von Halt of Deutsche Bank, Meyer of the Dresdener Bank, Reinhart of the Commerzbank, and Olscher of the Credit Bank. The list of heavy-industry participants is quite long: Bosch, Siemans, Lindsmann of Nord Deutscher Lloyd, Helfferich of the Hamburg-American Line, and numerous other household names from the giant conglomerates. The importance of the RFSS was profound? 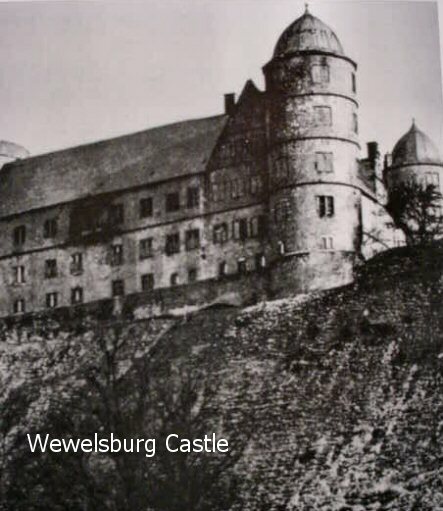 SS salaries were supplemented by the funds of the ‘Circle.’ Vehicles that were necessary such as cars, motorcycles, and even armored vehicles, offices, SS quarters, and very importantly the Order Castle at Wewelsburg were directly paid for out f the annual stipend to the Reichsführer. 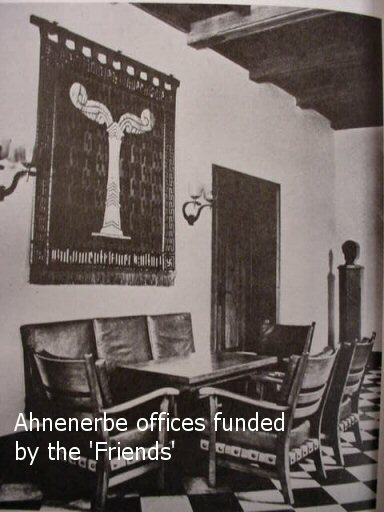 The very expensive programs of the Deutsche Ahnenerbe (Office of the Ancestral Hermitage) was supported, if not entirely funded, by the RFSS. The expeditions to search for or restore sites supposed to be old Germanic settlements or shrines burial grounds, etc, were extremely costly indeed even to the point of sending large teams of researchers to Tibet to trace the beginnings of the Indo-Germanic race. The ‘friends’ came through, however. 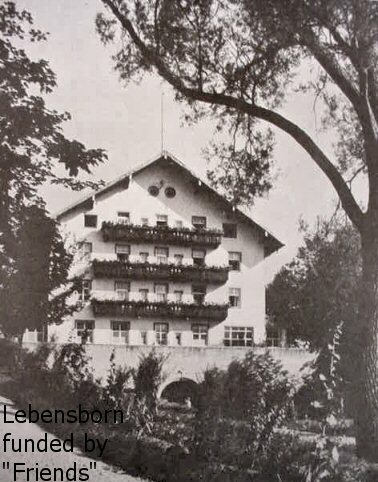 The salary of the Reichsführer, and his estates, of course, had to be funded by the ‘Circle’ to include his villa called Lindenfycht at Gmund am Tegernsee. So it is evident that the formation of this benevolent group was the nucleus of the SS that couldn’t have survived without it. Now as to the ring: At the meetings at Nuremberg that we have mentioned special attention was given to these honored guests--the industrialists, bankers, shipping magnates, etc. Our late contact in Germany, the elderly jeweler (see About Our Rings that we bought so much jewelry from at Stuttgart told us just about in each case what the particular piece was used for and what group it was to be sent to. 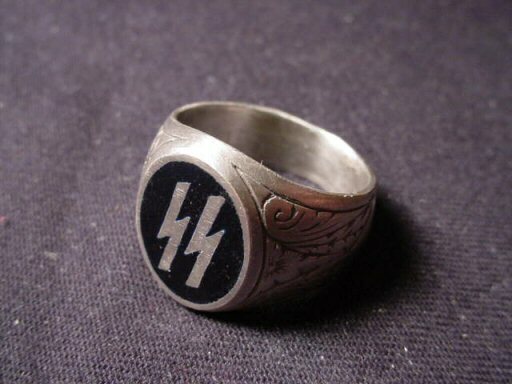 He told us that the particular ring was very special and that it was ordered in various quantities by Himmler’s adjutant, SS-Obergruppenführer Karl Wolf and he ordered these rings just before the annual Parteitag in Nuremberg. This was considered our man’s roughest order since this was not just a matter of putting the metal dies in operation, but also these rings had to be hand engraved as per order. 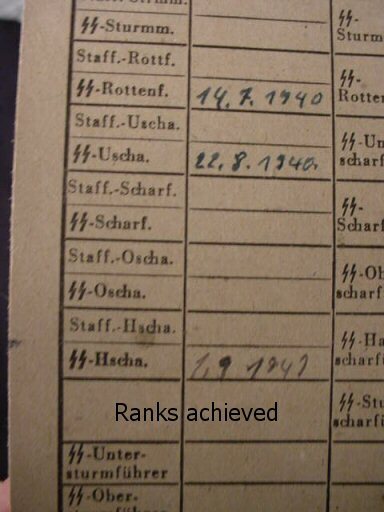 This never gave him enough time to complete the orders, but he always managed to and later he made up several in advance to meet the needs of the SS. 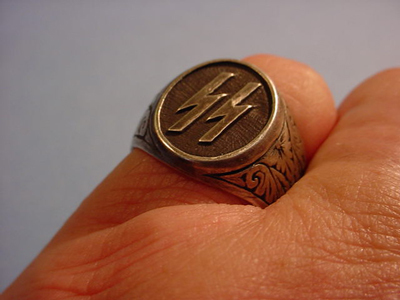 Here is the difference with this magnificent SS ring and the reason it is so rare. The rings were individually crafted and our jeweler had to call in a special engraver to finish each one separately. The design was typical of the art trends that were in vogue in the 1930s. 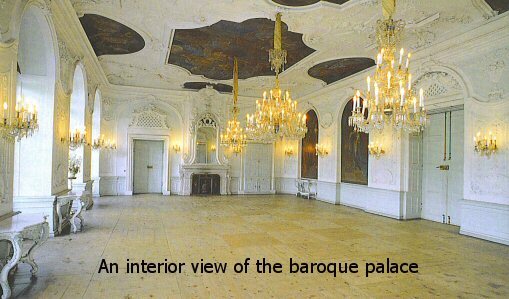 The craftsmanship and savoir faire elegance portrayed in this simple yet refined design was eminently characteristic of the style of the German landed gentry and their penchant in artistic expression. But basically it was a fairly simple yet substantial piece of jewelry. 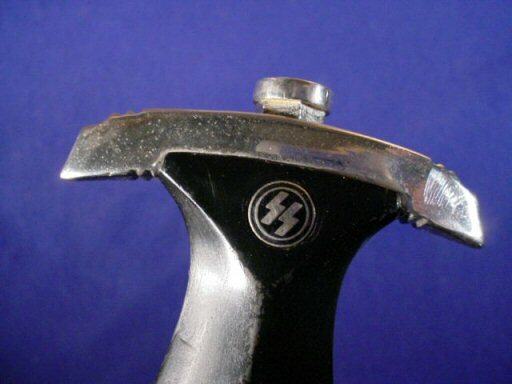 Fact emerges that this was to be a special gift to the honored attendees at the RFSS Conference and presented by Wolf or at times, Himmler, himself. 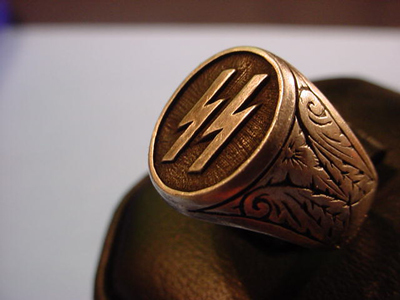 Thus, besides the honor ring of the SS, this piece becomes the only other ring that could be considered an issue ring and it came to be known as the RFSS ring. 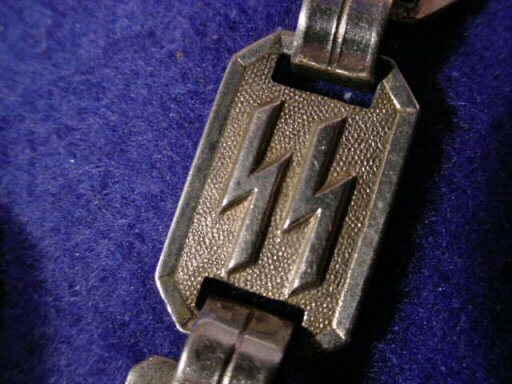 The question asked at this point is to be expected: Why would the SS leadership present such a rather humble piece of jewelry in silver rather than in gold? These rings were presented to men who could afford to have platinum rings with huge diamond insets. 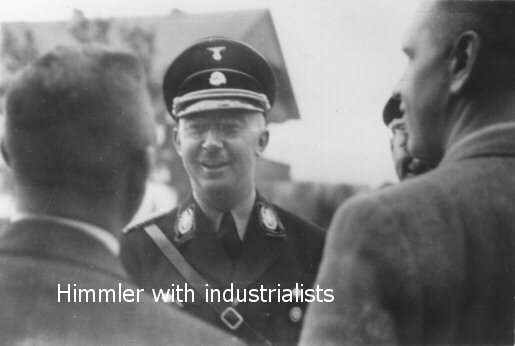 The answer: The Reichsführer-SS Himmler hated gold. 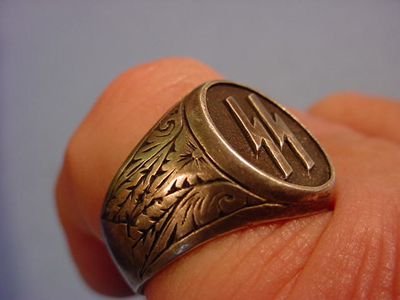 He considered the metal to be “The leaven of the Jews!” Silver represented purity in the Nordic and Aryan sense and their was even a directive to the extent that except for family wedding rings, SS men were prohibited from wearing gold jewelry. This went for their wives, as well. 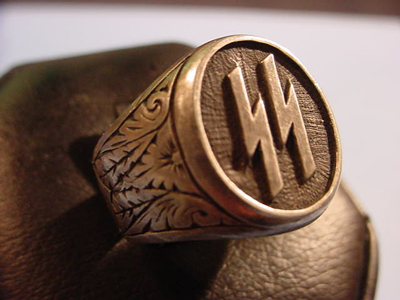 Himmler was adamant in this and the directive was picked up by other party functionaries as well, and you will seldom see a ring in gold in any of the German services. The exception is the Luftwaffe because Reichsmarschal Göring loved this precious metal and was not intimidated by Himmler’s order. 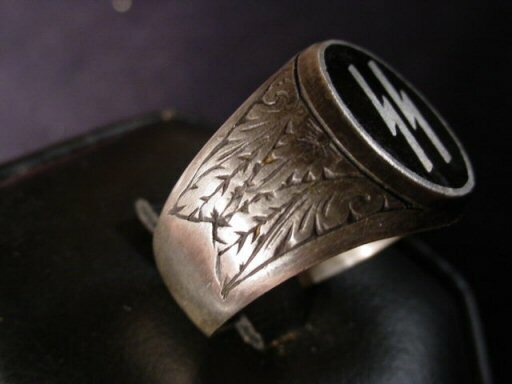 So, in fact, these rings became the official gift to the members of the Freundeskreis and are today considered one of the most prodigiously sought-after relics of the Third Reich. 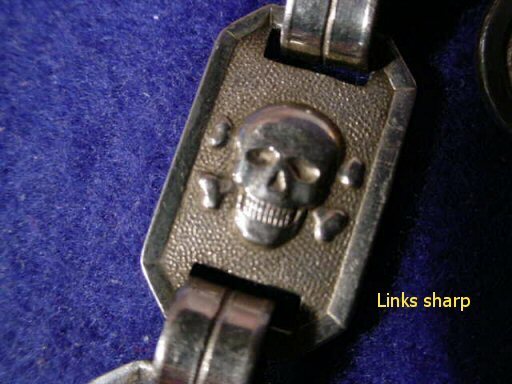 Before successfully buying this collection we have only heard of two of these RFSS rings showing up in Europe in the 1960s and one 20 years ago in the U.S. The prices they brought were serious, even back then. We were bowled over when we were able to buy these and to actually meet the designer, himself. 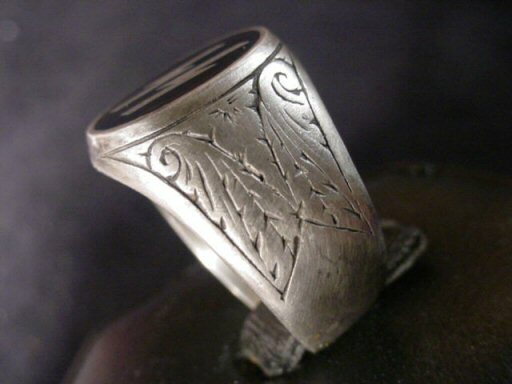 The rings are in genuine heavy silver and are rather large in design. 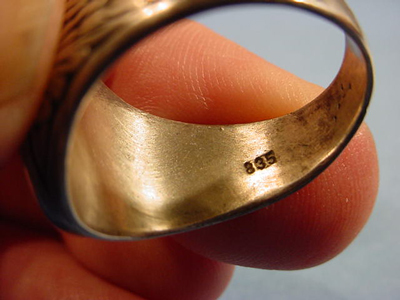 The rings are marked inside the shank '835.' This stands for the silver content . The SS in the center is surrounded by deep, fine, black enamel. The top, which is the size of an elongated dime, is separately affixed. The rings are in practically mint condition having never been worn. They were what he had in the bench bins at the end of the war. He was extremely proud of these and although we paid a pretty standardized price for most of the other great items, we had to pay a premium for these particular rings. They are in a word special and we are markedly proud to offer this, this magnificent ring of the RFSS. 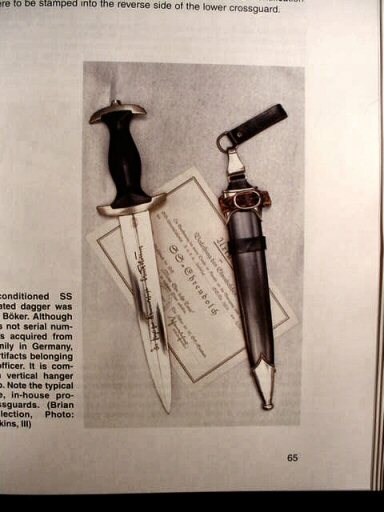 DESCRIPTION: Here is the ultimate classic SS officer’s dagger; the one that Tom Wittman in his book Exploring the Dress Daggers and Swords of the German SS has said, and we quote: “The early SS service dagger has become one of the most prized of all WWII military collectables.” This particular fine example is similar to what can be seen on the left of the picture on page 11 of the aforementioned book. 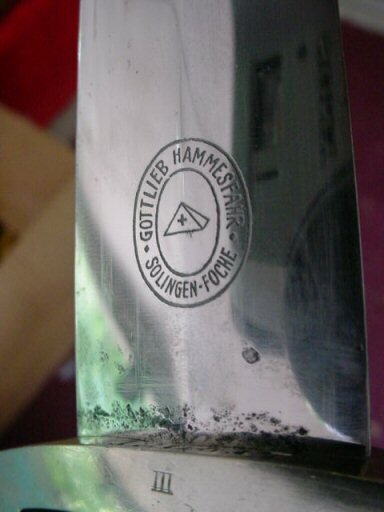 This dagger is by the firm of Gottlieb Hammesfahr. 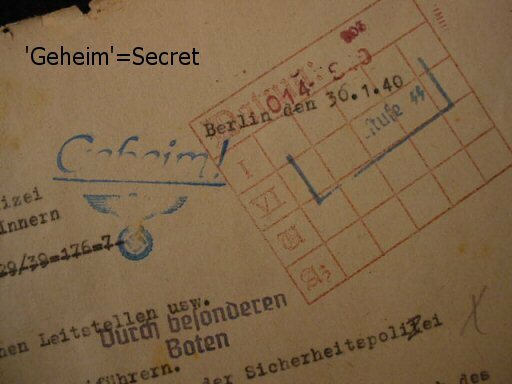 Look at page 17 of Wittman’s book, top picture, you will also see in this picture the Roman numeral 3 (III) and the one we offer is marked the same. 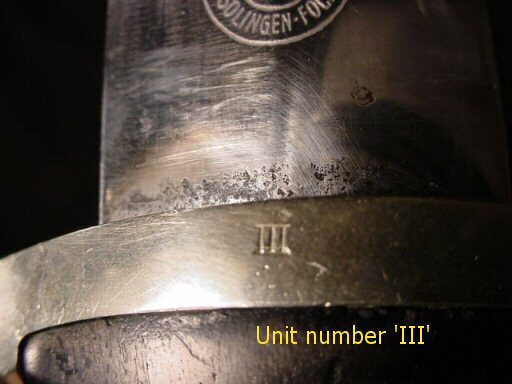 The ‘III’ is to designate the area to which the respective daggers were sent for distribution. 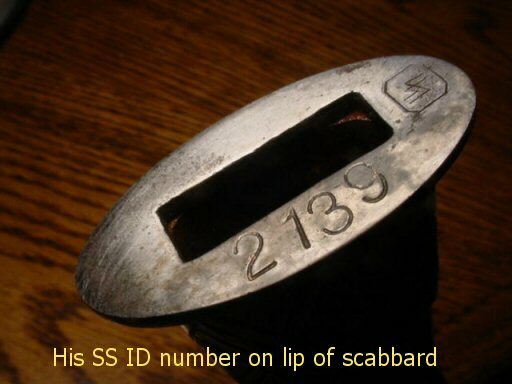 In several pages of Wittman’s book you can see that various cross guards were marked with the original owner’s SS membership number stamped sometimes on the outside, but usually underneath the cross guard as it is in this piece. 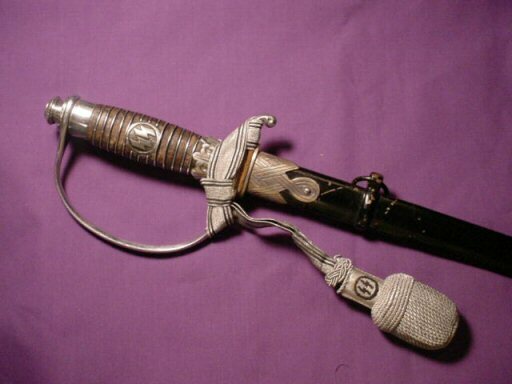 This is always a very big plus as ideally one should be able to trace the dagger to its original owner. Historically, this is exciting and important. So far we have not submitted these numbers to a search. This is one of the really rare (early ones). The ebony grip is really nice and shows only the very slightest shrinking away from the cross-guard sides. There are not noticeable dents at all. The nickel cross guards are bright with no pitting. 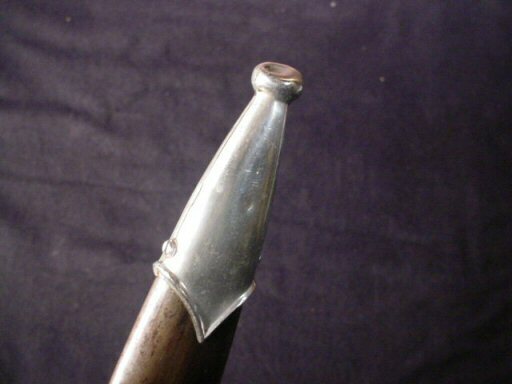 Scabbard tip is ever so slightly dented (see image), but scabbard fittings are fine. 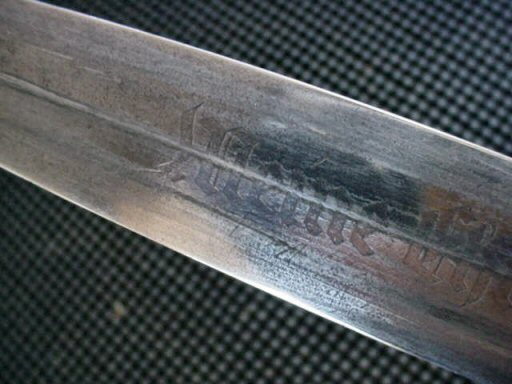 The blade is average to very good—never sharpened, bright with the letters sharp and clear. 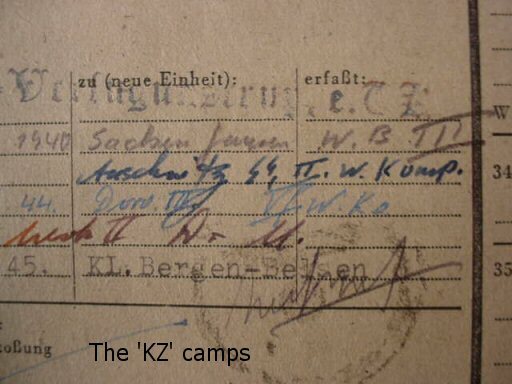 The numbers under the cross guard are ‘120417.’ You can see a similar stamping shown on page 202 (Wittman) and page 198. 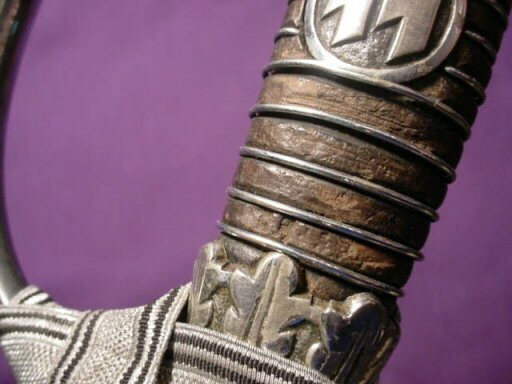 If you look to page 68 there is a fine color picture of a herder dagger that looks like our offering; even to the look of the scabbard and the condition of the vertical hanger. The one on page 53 is also just about a twin. 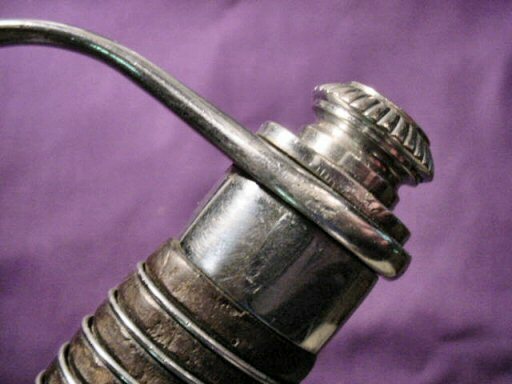 As to the rare vertical hanger, it is 100-percent original to the dagger , but one can readily see that it saw much use. It is all there and intact, but it is very used. ”Some of us like it like that.” The hardest use of course is where the hanger presses against the tunic by rubbing constantly back and forth. The hanger is much like the pre-‘RZM’ coffin shape vertical shown on the right of the picture at the top of page 595 and, like that one, is definitely by Assmann and so marked with the ‘DRGM’ alongside of the stylized ‘A,’ however, this clip is quite rusted and you can only see all of this close up. 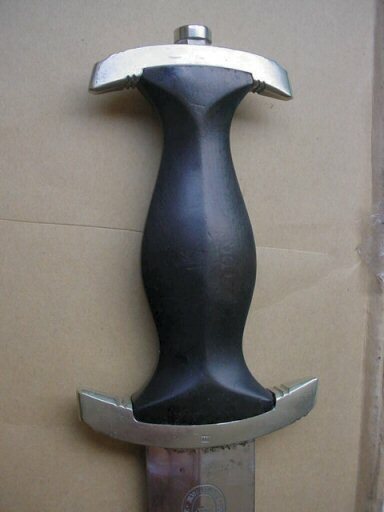 If there are markings inside to be seen we wouldn’t know because we will not remove the hanger by unbuckling it. Old leather tends to crack when tinkered with. As it is now, it is intact and may never crack, but we will leave well enough alone. 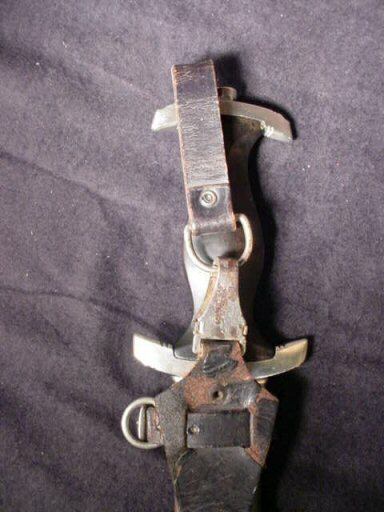 The belt loop (usually missing) is also there and in very good shape. 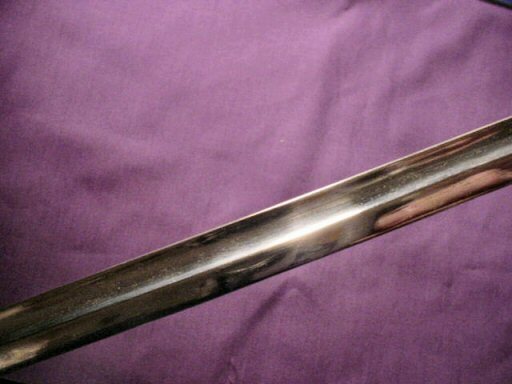 The anodized scabbard is in nice condition with a couple of very slight pin-prick spots. 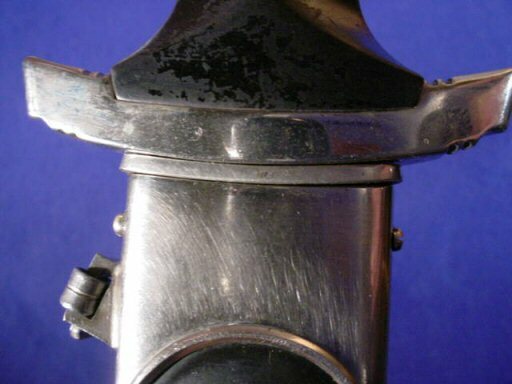 The images show the scabbard to be slightly what could be called ‘scuffed’ and brown in areas. This is caused by the high-intensity lighting. 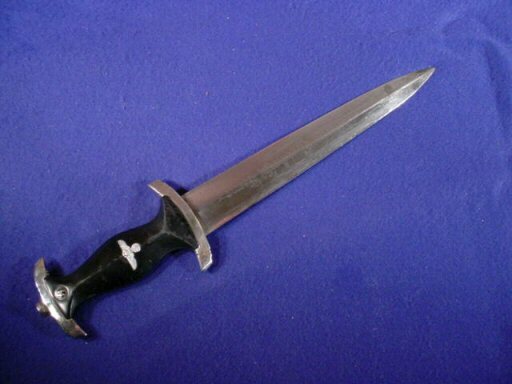 When the actual dagger is viewed, it is, for the most part, jet black. 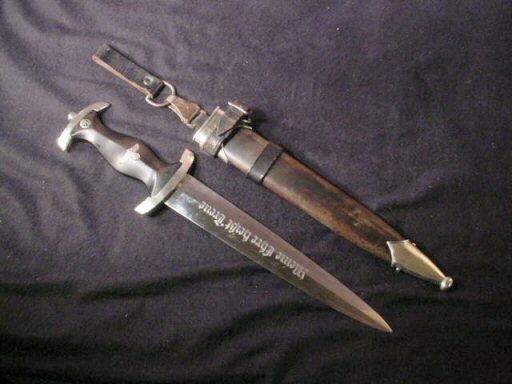 The dagger would have to be rated as extra fine throughout and will be a rare and important acquisition of the serious collector of SS memorabilia. 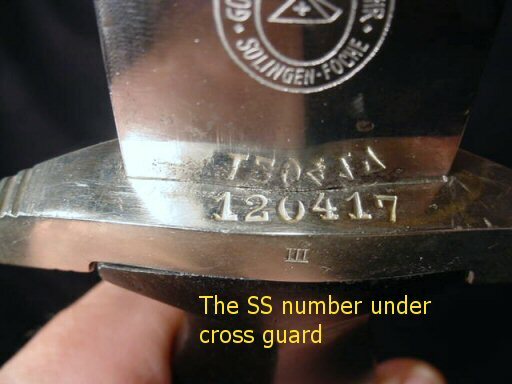 We are still researching the cross guard numbers. 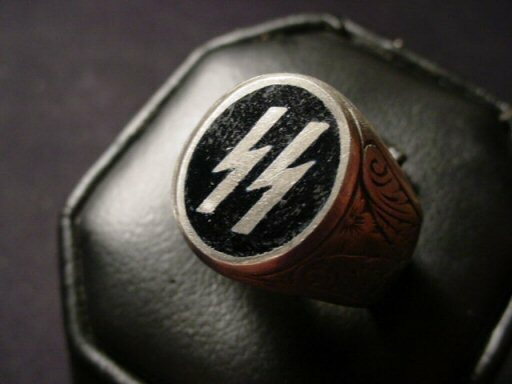 DESCRIPTION: Read the description of the magnificent ring above describing the RFSS Freundeskreis ring, Circle of Friends of the Reichsfuhrer SS Item SS 25-2. 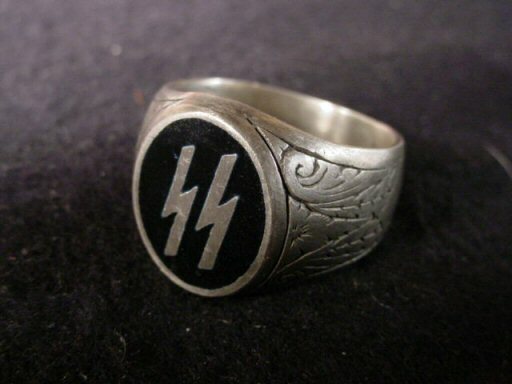 This ring was so popular and so typical of the entire mythos of the SS that certain SS men wanted to have one also although they were not members of the “Freundeskreis,” so a certain jeweler was given permission by Himmler’s SS Office of Procurement to fashion a similar ring (in fact, almost exact) except it did not have the enamel background. This was so that the official members' rings would be instantly recognized. 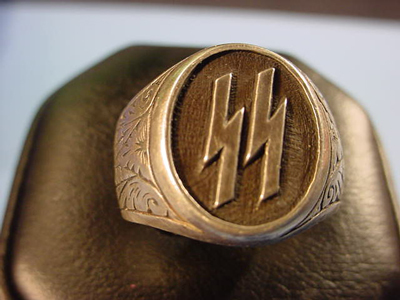 The other obvious difference is that these non-enameled rings were purchased and not presented like the Freundeskreis rings. 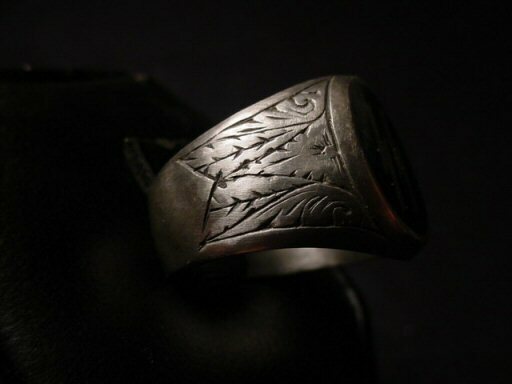 Also, the floral designs at the sides were picked up in the steel dies and not hand engraved, but these rings were also made in 835 genuine silver and are really beautiful. They are much less expensive but all as imposing. Be sure to read the full description in the above narrative for a full understanding of the meaning. DESCRIPTION: This guard was a member of the Verfugungstruppe of the Totenkopf (Death’s Head Division). 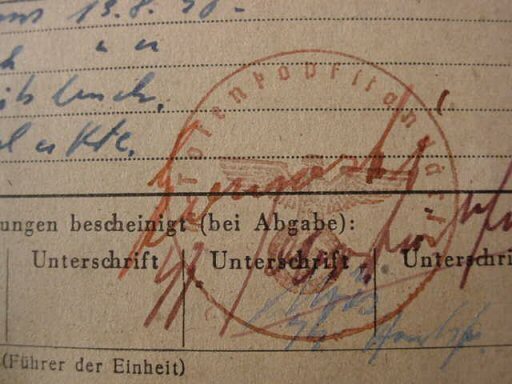 He was at the time of this document an Allgemeine-SS Hauptscharführer. 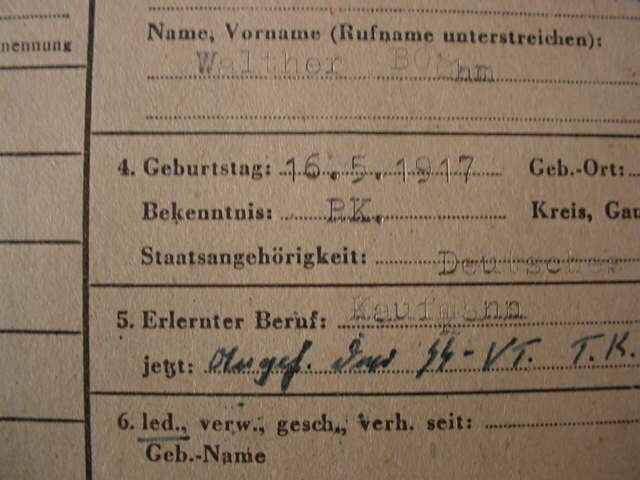 His name is Walther Boohm (at least it looks like that). He was born 16/5/1917. 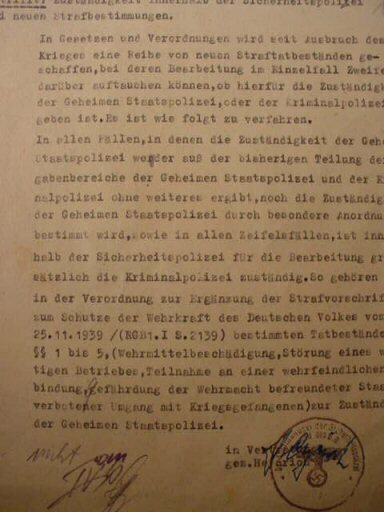 His Vereidigung, or when he was sworn in, was 2/2/1939. 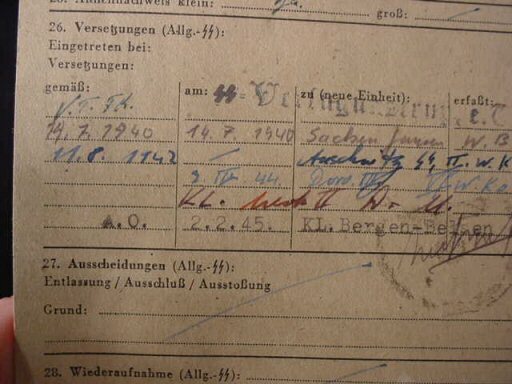 According to his record here stamped he served in the KL’s at Sachsenhausen in 1940 and then at Auschwitz in 1942, then in 1944, he was at Dora II, then transferred in 2/2/1945 to KL Bergen Belsen. 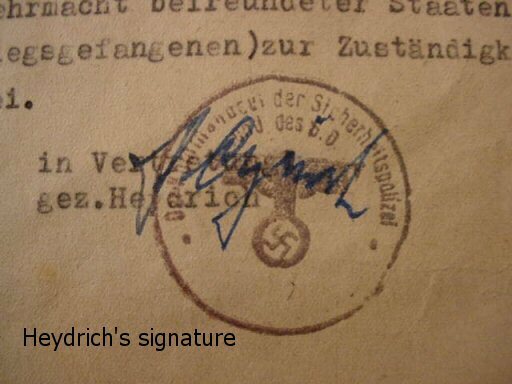 There is a signature of a ranking SS officer at the bottom under a Totenkopf-SS stamp in two places. He was a regular professional handler of KL prisoner personnel at several camps. This makes us believe he was an SS training officer.